That is nicely magisterial and elegiac without dropping too many spoilers about who lives and who dies. (I made the mistake of watching TheOneRing.net’s Hobbit panel which made very plausible guesses on this subject– not blaming them, as they warned us. Yes, I’m aware the book has been around for some 70-odd years, but PJ and co have never been afraid to change things up… anyhow, they’ve invented some characters and integrated others not originally part of this story.) We know Gandalf is safe despite his dire condition here… because even when Gandalf actually dies it’s not a permanent condition. 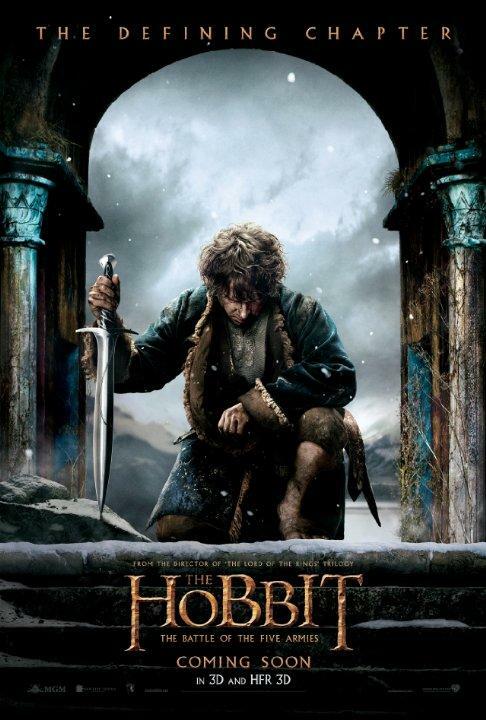 Apparently Warner has taken all the jibes about “Wait… who’s the TITLE CHARACTER of these movies again?” to heart, as Bilbo is front and center in the latest Battle of Five Armies promo poster. 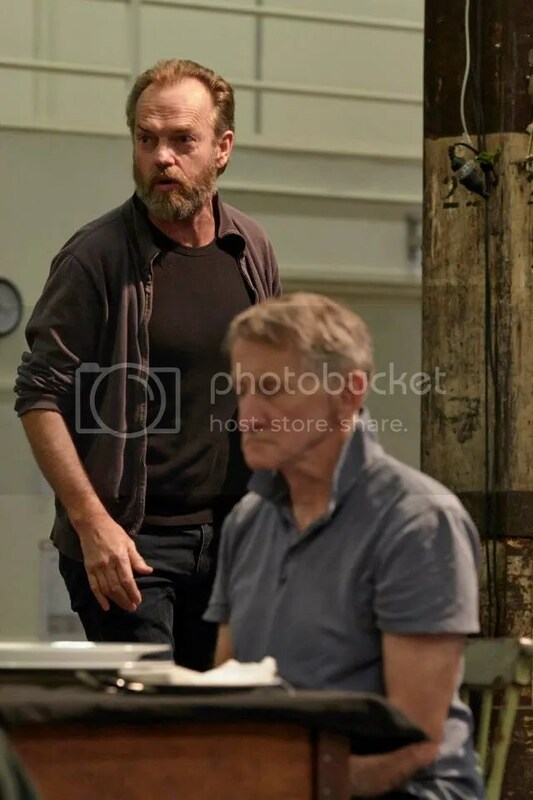 Anyhow, here are excerpts of the latest reviews (including Jo Litson’s full review for The Sunday Telegraph, which hasn’t yet been posted online) interspersed with the latest bunch of Brett Boardman’s production photos. 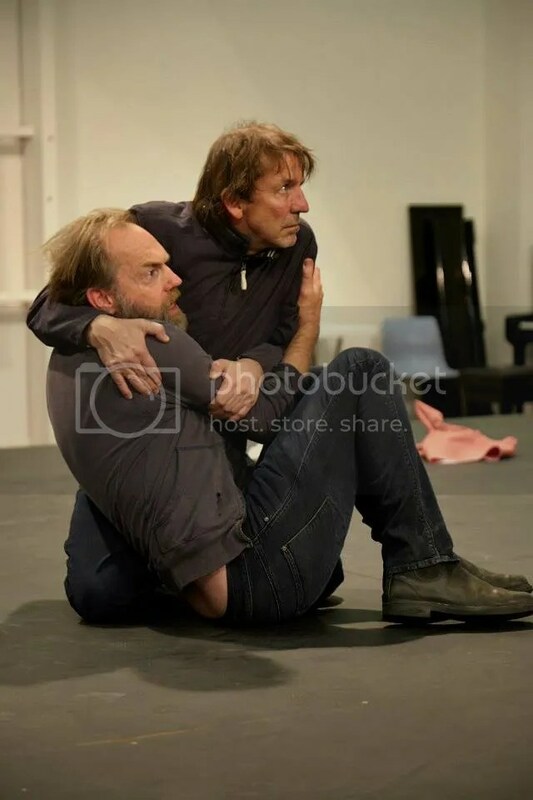 (Thanks to STC for adding several of these to their Macbeth page.) As always, WordPress readers can see the full-sized versions of images and scans by right clicking and clicking on “Open in a new tab”. 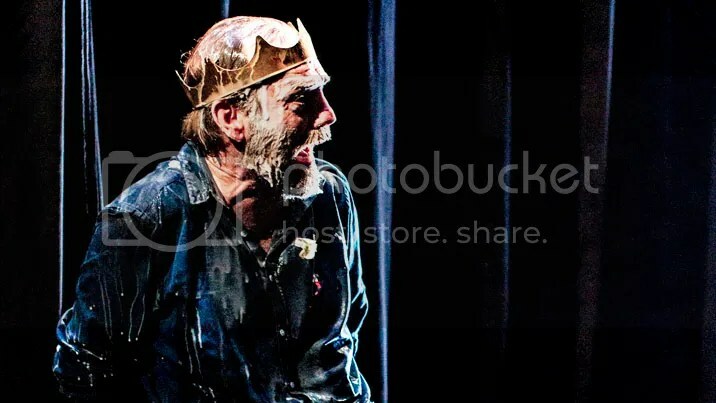 Director Kip Williams has brought this turned-around Macbeth to the Sydney Theatre Company after an intensely moody-energetic-youthful Romeo and Juliet last year. With this new venture he proves the gift we suspected last year: he has an eye for the moments in Shakespeare’s poetry that matter. He re-shaped Capulet and Juliet’s relationship with nothing but directorial emphasis, and here, with the would-be King and his wife, the great partners of Shakespearean horror-romance, he hones in with precision and lets us look at them anew.. That’s the benefit of a show that we all have passing familiarity with; we’re ready to be, not disoriented, as the backwards staging might suggest, but re-oriented: going back to the heart of the matter. 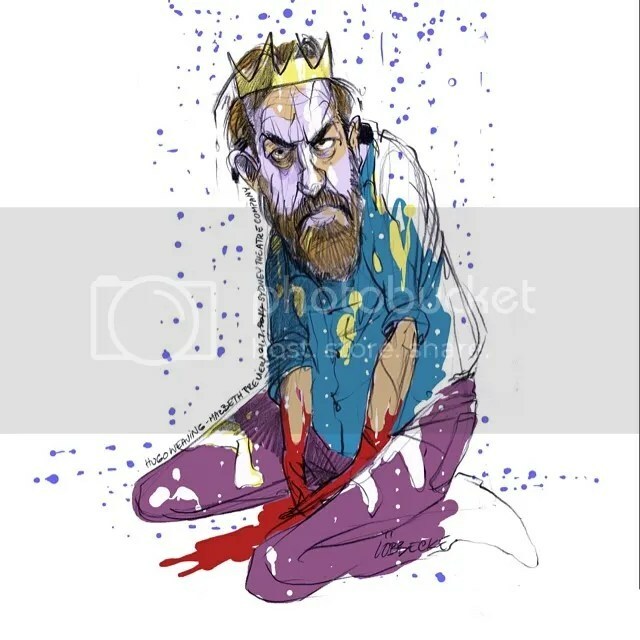 Macbeth is full of it, shaking with it, crying with it helplessly, in a bravura performance by Weaving, who is incapacitated by his ghosts, so much so he is almost childlike in his sobs. It’s incredibly powerful and uncomfortable and impossible to look away from. Who knew this play could still leave such an impact?.. Like Macbeth himself, the production possesses both strengths and weaknesses. Ultimately though, every element contributes to Williams’ undeniably clever staging. It is a relief that he so capably controls this extraordinary vehicle – his vision transcending professional inexperience, the gimmick of the performance venue and Weaving’s star power….Rating: 4 stars out of 5″CJ here: when is acting talent a “gimmick” exactly? 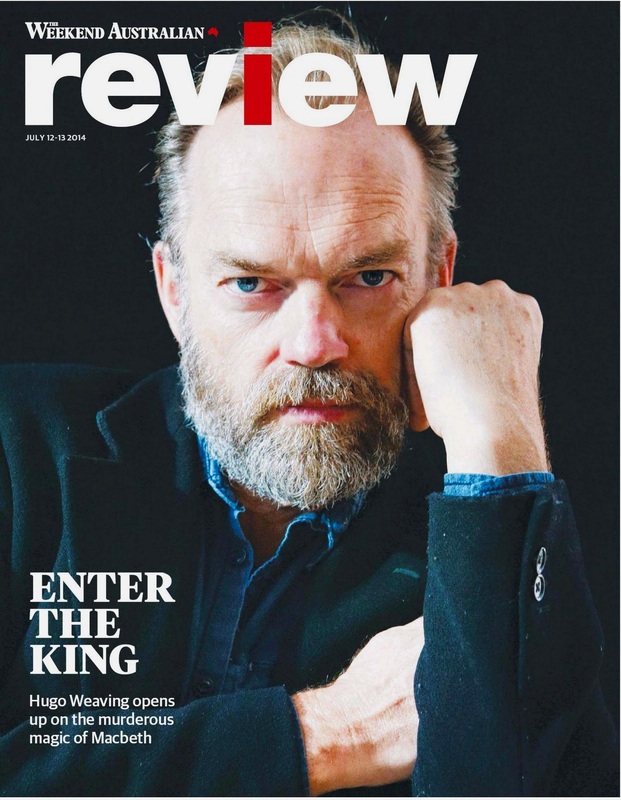 Hugo Weaving didn’t become famous for the sake of being famous– in fact he’s done quite a bit to back away from fame as an end unto itself, which is why he’s doing Macbeth in Sydney instead of an endless procession of Marvel sequels. Some Australian critics– like many New York critics– take the provincialism and the “obscure local talent must be more pure than internationally famous talent” thing too far. 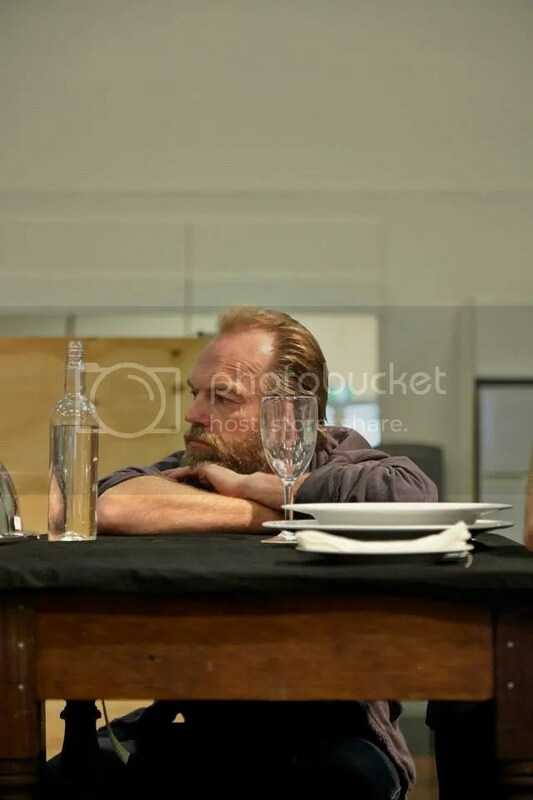 Yes, some stage casting is gimmicky and fame driven, but Hugo Weaving started out as a stage actor, first and foremost. If you agree, as this critic grudgingly does, that he’s capable of these kinds of roles, his fame shouldn’t figure negatively into the review. Also, this review and the following one take issue with the end of the play; I’ve seen enough raves to belie the notion most audience members either didn’t “get it” or didn’t like it. I find uncomfortable laughter is a normal human reaction to a confronting or unexpected element of staging, or any development in stage or film one simply doesn’t know how to react to initially. So no, I don’t believe the play’s finale is routinely greeted with “amused snorts” as Jason Blake puts it. I’ve reacted with uncomfortable laughter to a lot of plays or films I eventually came to love or respect. I think it’s more a startle-reaction that anything else. I haven’t seen a single negative comment from an audience member (who isn’t a professional critic) about this aspect of the play. As I said before, given the deconstructionist approach taken from the start, this ending fits, at least in an abstract sense. I guess the particulars of how Hugo exits would sway my opinion as to how well it works, but I do “get it”. At the end, Macbeth lies dead among the glitter while Malcolm is ceremonially dressed in ornate doublet and white stockings, as if he’s about to star in some outmoded, grandiose production on an adjacent stage. Given he’s about to be “crown’d at Scone”, I suppose he is, in a sense. But I’d venture many in the audience will be unsure as to what the message is. ..
I’m going to embed the print version of The Australian’s review in addition to Jo Litson’s Sunday Telegraph review to circumvent The Australian’s stingy page-view limitations. They need to implement a system like the New York Times or Sydney Morning Herald, which allow a certain number of page-views (including multiple looks at THE SAME PAGE without treating it as multiple “views”) before the requests for money start up. Also: Alice Babidge spoke to Gay News Network about her vision for the production design. It isn’t much to go on (yet) but Netflix has bumped Mystery Road to the top of my Saved Queue, usually an indicator that a DVD release is at least scheduled in the future, though no specific date is given in this case. Though the film has opened sporadically in New Zealand and the UK (and has been a strong presence on the festival circuit for a year), the only official DVD/Blu-Ray release has been in Australia; that looks likely to change soon. Though it won’t be without quibbles from me about Well Go USA’s stingy handling of the film and unwillingness to issue it theatrically over here. (Would love to be wrong about that… there’s still time…) 😉 Also, a nice, succinct review of the film at bubblews. 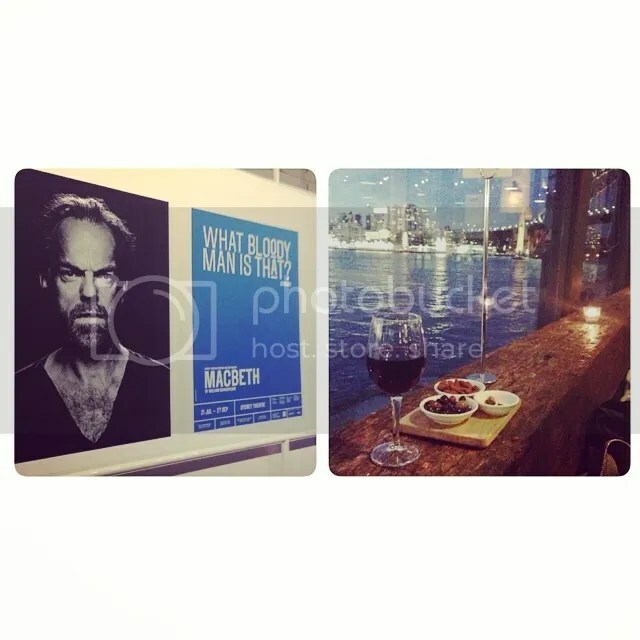 It’s been a crazy-busy past 24 hours for Hugo Weaving fans with the official opening night of Sydney Theatre Company’s Macbeth (with most high-profile critics in attendance) followed by the San Diego Comic Con panel on The Hobbit: The Battle of Five Armies (which featured the debut of the film’s trailer and a surprising number of cast members alongside Peter Jackson.) The trailer isn’t yet live online as I write this, but I’ll add it and any SDCC panel video that becomes available if and when this happens. In past years, Warner Bros has posted the full panel session video after the fact minus any exclusive content (ie film shown)… the event wasn’t live-streamed, but TheOneRing.net was on hand with a fairly exhaustive “rolling updates” page as the event unfolded, including descriptions of the new teaser and cast interview highlights. 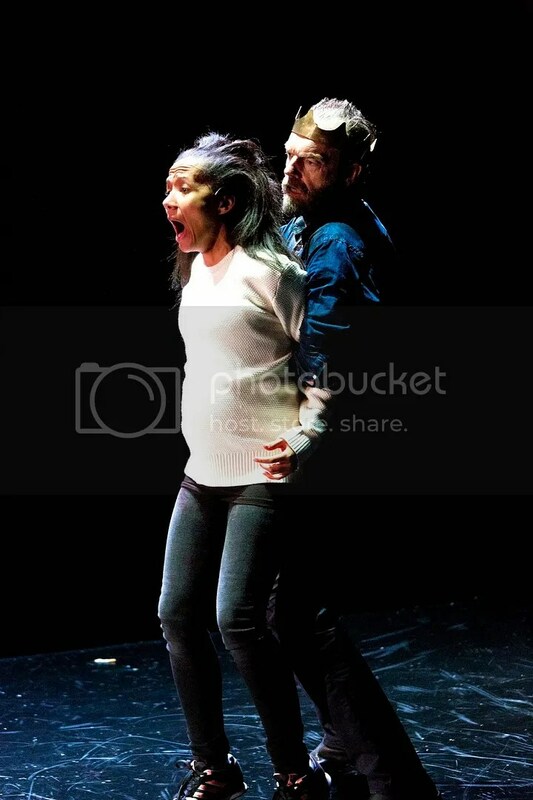 Though STC’s Facebook hasn’t yet featured any production photos (they surely will soon), Elissa Blake and other journalists on hand at Friday’s premiere were given a selection of Brett Boardman’s fantastic, expressive shots for use in reviews. I’ll post a selection below… apologies for the differences in size; these came from several different reviews. 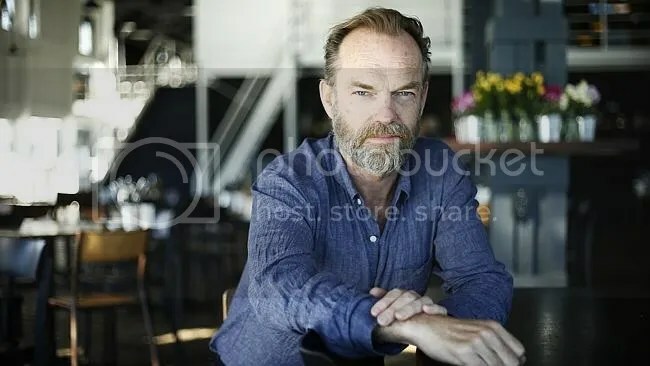 Particular thanks to Blake for sharing high-res versions of some of the best pics along with a reprint of her Hugo Weaving interview for the Sydney Morning Herald. 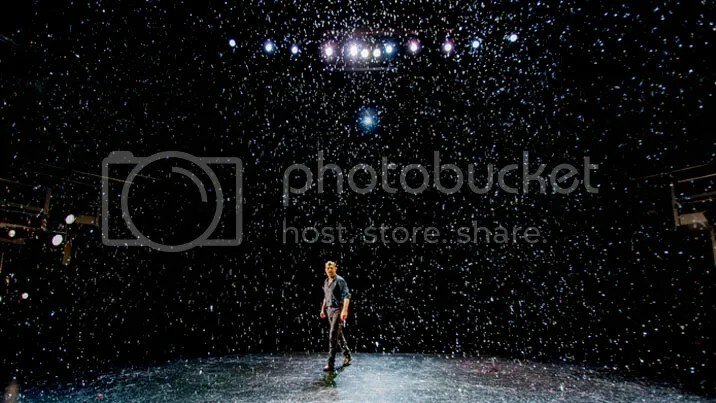 All photos are by Brett Boardman. Note: WordPress readers can see full-sized versions by right-clicking, then clicking on “open in a new tab”. Again, I’ll add any additional photos that become available, including better versions of those already shared if any turn up. While there were reports of “mixed reviews” amid the early responses to the play on Twitter and other social media sites, the reviews and audience tweets have actually been very positive on the whole apart from one snippy, somewhat clueless review posted to Limelight by a critic who seems to have made up her mind before seeing the play and dispenses a lot of elitist bile against Hugo, John Gielgud (regarded by most serious scholars as one of the best Shakespearean actors of the 20th century– though his acting style and enunciation is completely different from Hugo’s in any sane person’s assessment) and Kip Williams (whose rationale for this staging has been eloquently detailed in many interviews this person seems not to have bothered with.) There has been a lot of complaint about STC’s uncomfortable stage-area seating which is unique to this production, though most reviews suggest the minor discomfort more than worth tolerating for the rewards of this production. I’ll include some quotes below, but the full reviews are very much worth reading in their entirety, so links are included. 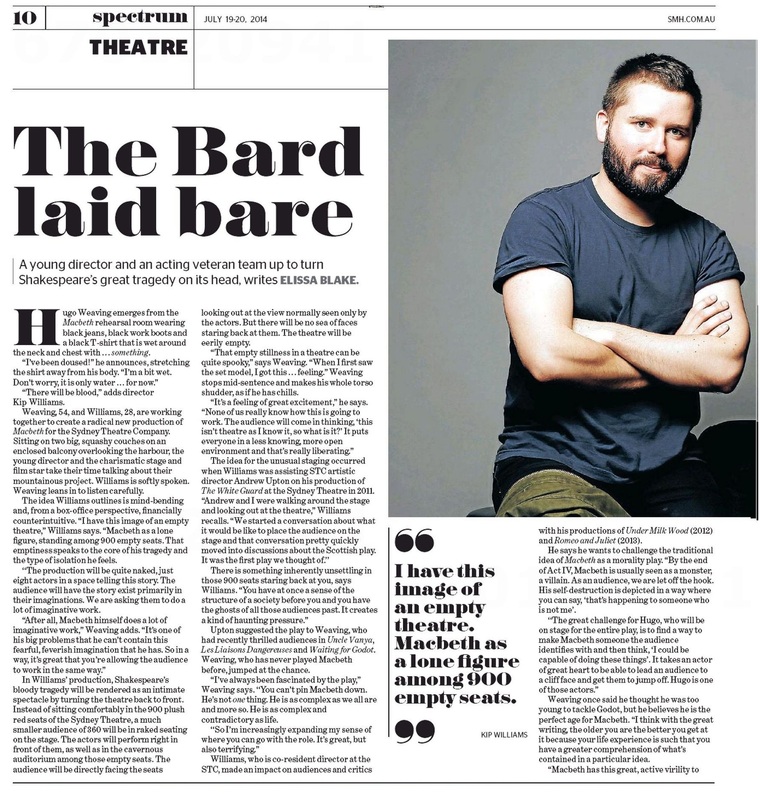 Barry Hearst, Sydney Outsider: “After watching the STC’s new production of Macbeth I struggled to sleep last night. .. the main problem was I couldn’t stop thinking about the bold, brilliant, and occasionally baffling interpretation of Shakespeare’s dark tragedy…. Maybe it’s because there was a sense that we weren’t just watching characters. Through the set design, casting choices, and costumes we were always conscious that these were actors playing out a script. This could have created a distancing effect but instead the audience was more engaged, as they created Macbeth’s world in their minds’ eye. 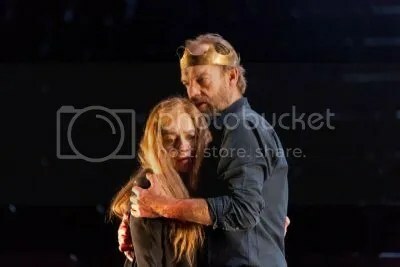 Despite the diminished role given to Lady Macbeth in the production, Melita Jurisic shines, and there’s excellent work too from John Gaden, Robert Menzies and Ivan Donato… As Macduff and Lady Macduff respectively, Kate Box and Paula Arundell provide two of the most touching moments.. 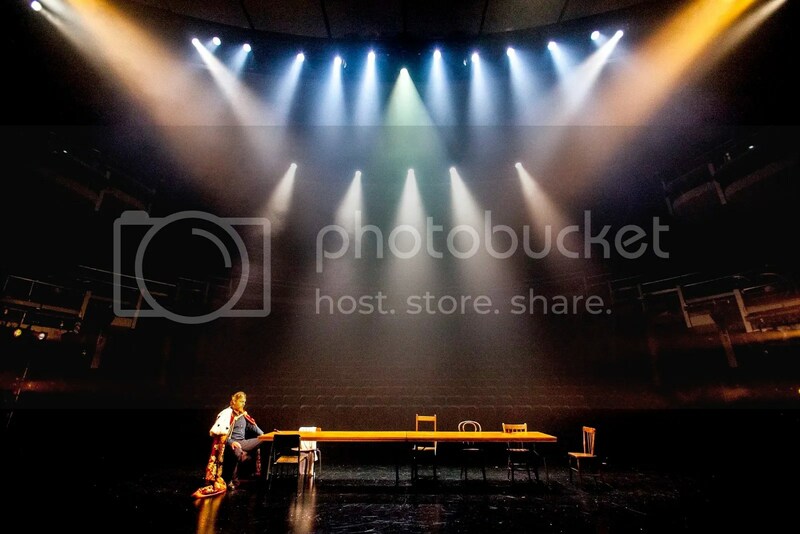 The production is not without its problems – the cavernous space of Sydney Theatre makes the dialogue, particularly in the first few scenes, hard to hear, and despite the hype over Williams’ back-to-front staging, the auditorium itself is barely used for more than a few scenes. .. But the opening scene’s humble beginnings unravel, along with the characters’ minds, to make the stage fit for a King and his Lady Macbeth. Melita Jurisic’s performance of the blood lust Queen is inspired and frightening. 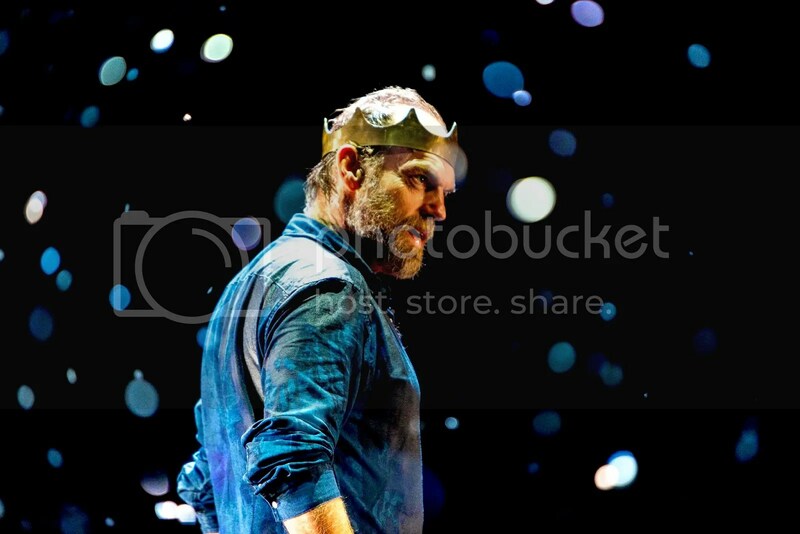 ..
Hugo Weaving is mesmerising in Macbeth @SydneyTheatreCo The production itself waxes and wanes. Review in Sunday Telegraph tomorrow. 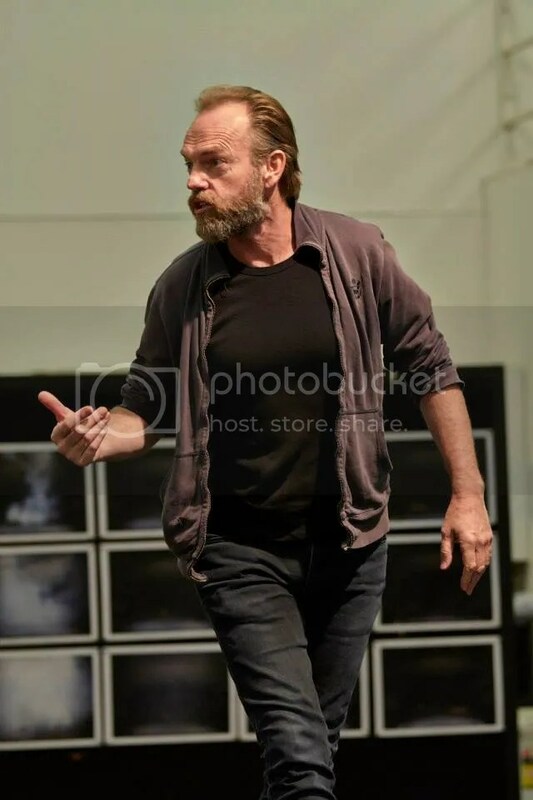 Hugo Weaving is just crazy-good as Macbeth in the new @SydneyTheatreCo production. Paula Arundel a superb, surprising Banquo too. Sydney Theatre Company has posted a synopsis and cast-character rundown for anyone anticipating confusion, though I would advise anyone new to the play (or Shakespeare) to read it in full prior to seeing this or any production; once you have a handle on the text it’s much easier to appreciate the specific performances and production choices. They’ve also added a new list of tips and warnings for ticket-holders, probably in anticipation of/response to complaints about the seating and need to be on time or risk being shut out. Alice Babidge, the production and costume designer, spoke to Broadsheet about her creative choices; she and lighting designer Nick Schliper (who has done a lot of stellar work for the STC in recent years) also chatted with the Sydney Morning Herald. East Side 89.7 published an interesting, informative essay about the play’s themes and historic interpretations. 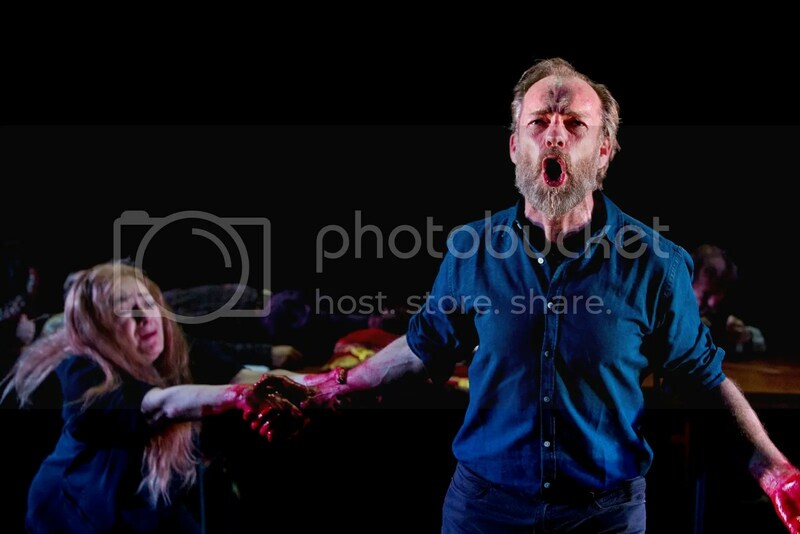 The reviews do make this production sound deliberately confronting in ways that I find exhilarating, but the theatergoers who haven’t seen Macbeth before (or who require a creature-comforts theatrical experience) might have problems with. 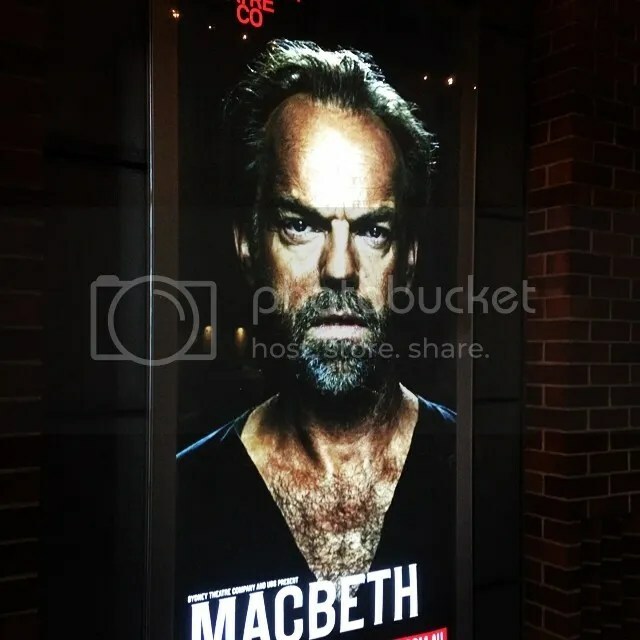 I try to imagine what it might be like for anyone new to the play or Shakespeare; Macbeth was routinely read in high school when I was younger (that’s how I was first exposed to it– and loved it immediately) but I have no idea if that’s still the case or if it’s the norm in Australia. While I understand not wanting to feel uncomfortable in one’s seat, I have dozens of such stories about concerts and plays I’ve gone too over the years, and, in the end, such complaints are minor quibbles if the experience is otherwise rewarding. In some cases, it’s a badge of honor to have watched an outdoor concert in torrential rain and lightning with other stalwarts, or to endure BAM’s cramped, severely tiered seats (which seem designed for dwarves or amputees if you’re over 5’3″) in exchange for watching Geoffrey Rush climb up the wall past you into the loge balcony, or Cate Blanchett melt down as Blanche Dubois. 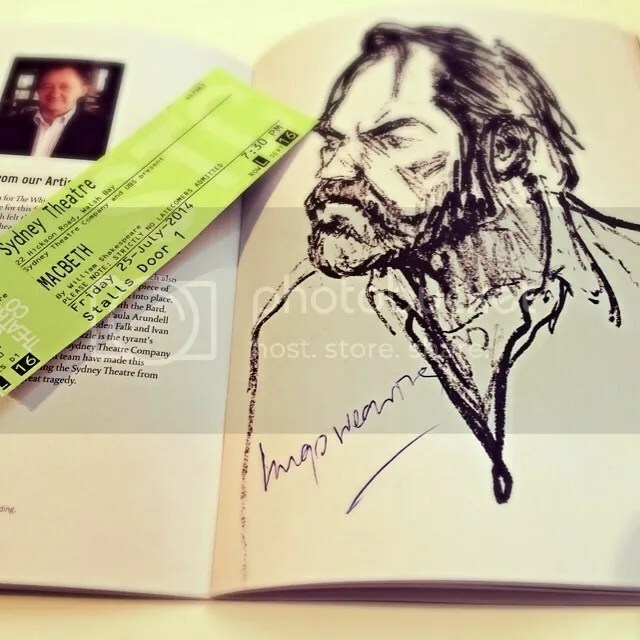 If you are in Sydney August 4 and can budget for a particularly unique experience, Hugo Weaving and the STC are auctioning off two tickets to the performance followed by post-show drinks with the leading man, all to benefit Theatre of Image, a cause Hugo has supported for many years, including serving as their ambassador. More details here. Peter Jackson and an impressive array of cast members from the final Hobbit film appeared earlier today at an hourlong-plus panel promoting the film, which also featured an extensive cast Q & A, the first viewing of the teaser and a hilarious-sounding blooper reel. 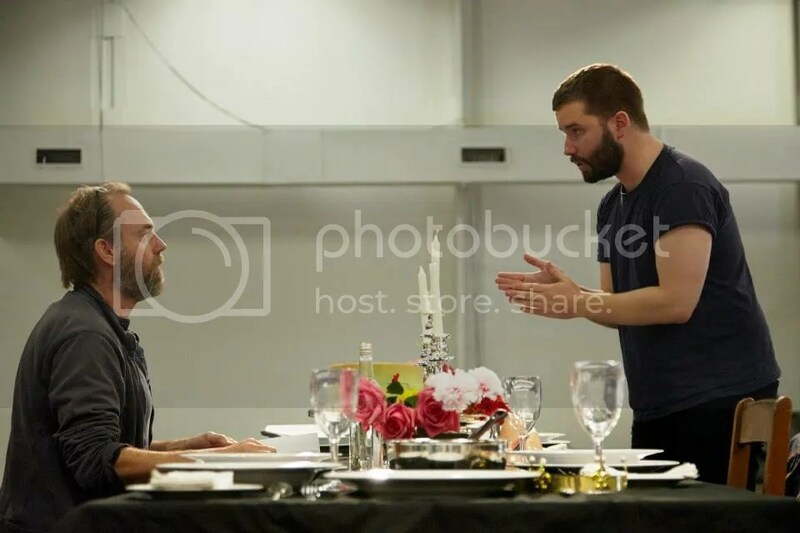 While non of the video, including the preposterously long-awaited teaser, has yet been posted online, you can read a detailed synopsis of the event at TheOneRing.net, which features a generous selection of photos. 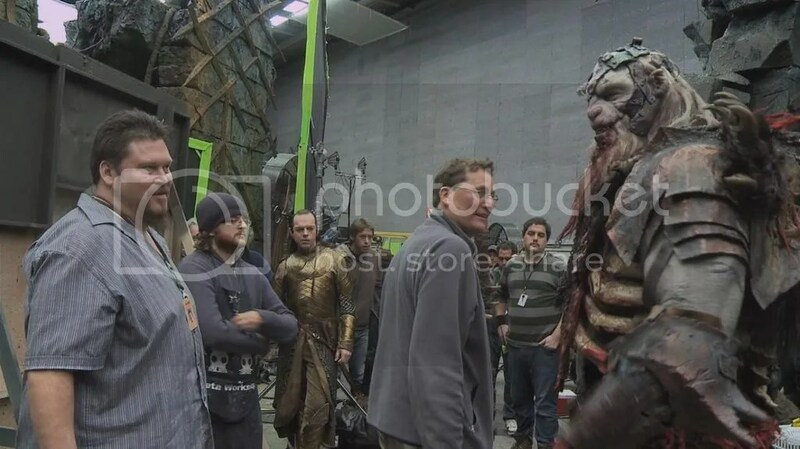 Of the major cast members, only Martin Freeman, Richard Armitage, Ian McKellen and of course Hugo were unavailable due to other work commitments. 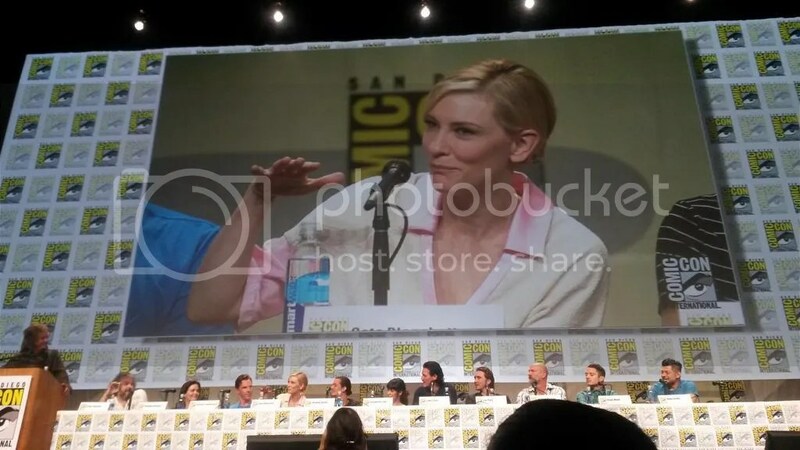 Cate Blanchett was surprisingly on hand and the sneaky Laketown spy who bears a striking resemblance to Comedy Central pundit Stephen Colbert moderated with a hilarious running commentary. While we await that teaser or other video content, you can enter a contest to see a preview screening of BOFA in New Zealand on Peter Jackson’s Facebook Page or here (direct link), see the Smaug-tastic first poster for the film at Flickering Myth and read about PJ’s Evil Jester Cosplay Adventure here. There’s also ample SDCC/Hobbit panel coverage at Collider, /Film, Movies Edge, iO9, MTV and of course TheOneRing.net. 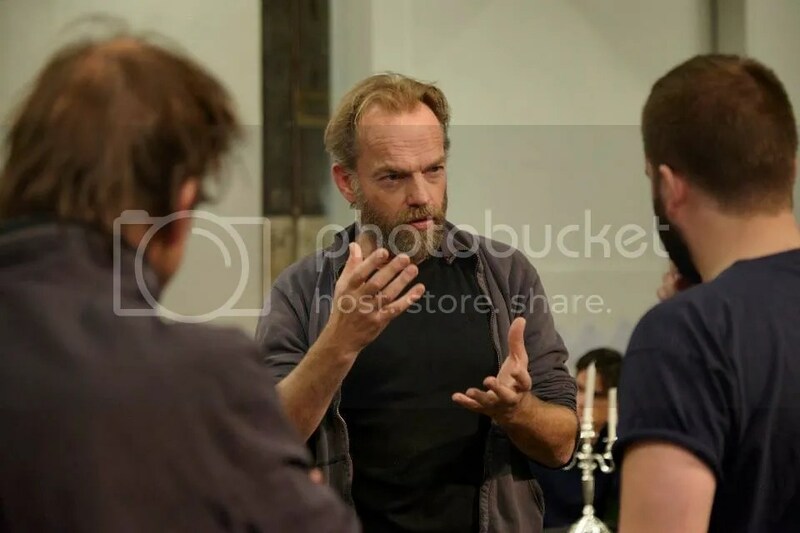 Sydney Theatre Company has shared a few tantalizing photos taken in the Macbeth rehearsal room in the weeks leading up to the play’s formal opening; now that they play is running (in previews) they’ve posted the full astonishing set. 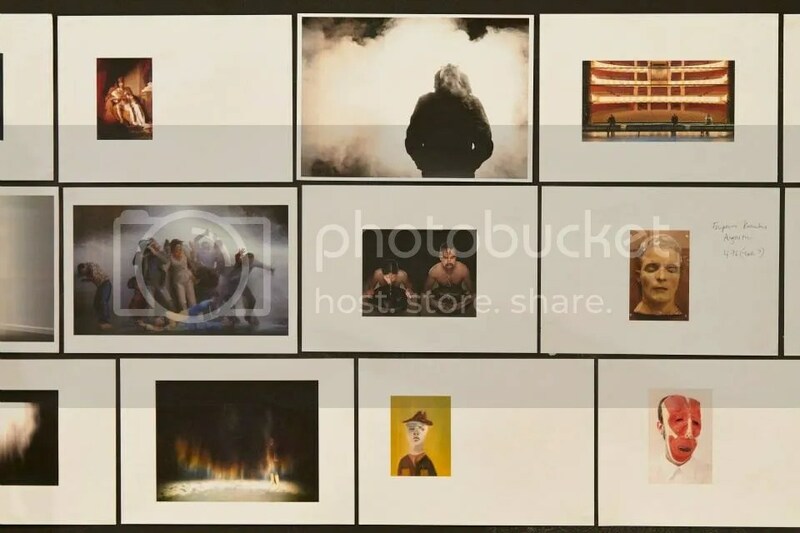 In addition, fans attending early performances have shared photos of the theatre and STC’s on-site promotions (posters, programs and the like) which I’ll also cross-post here. Not sure if Hugo is exercising (as I’d guessed prior) or rising up off the floor in acting out a scene. Also, can I renew the call for STC to START SIMULCASTING OR FILMING these plays, PLEASE? I have always deeply appreciated the productions that did tour, and also respect that theatre is an essentially ephemeral art form. But not everyone in the world who wants to see even the touring productions is lucky enough to live near Sydney or the cosmopolitain centers (New York, London, Washington DC, etc) that would typically have the resources to stage them. Also, tickets for STC’s The Maids (at Lincoln Center) are expensive enough to exclude a large portion of the audience that wants to see it, as does the brief run. Since all of these actors have busy careers and global fans eager to see them in something other than Hollywood villain roles (which even Cate Blanchett has been shunted into of late, when not working in indie films) the only fair solution is simulcasting or filming. Or both. 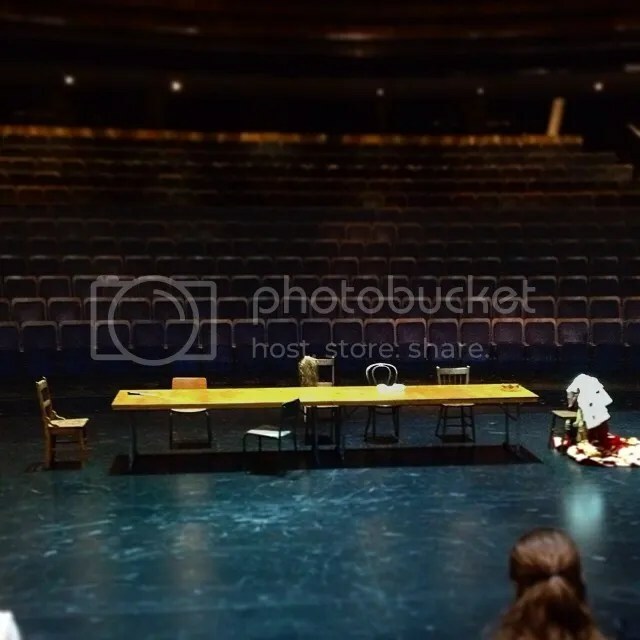 I was lucky enough to see Uncle Vanya five times and that wasn’t enough. It was truly sublime. STC should start saving these productions for posterity and sharing them with a much wider audience. Also, they could raise funds this way. The average simulcast nets $18 to $25 a pop in my area, more in New York. Director Craig Monahan has assumed most of the promotional duties for his film Healing as it opens in New Zealand; obviously Hugo is otherwise occupied at present. You can read an interview he gave at Diversions.co.nz. 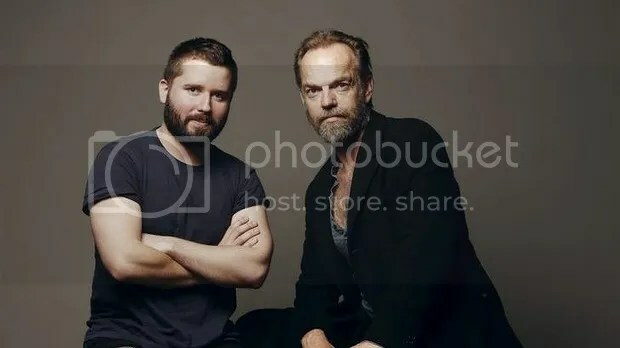 (He says, of working with Hugo repeatedly: ” [It’s a] pretty good [working relationshp] .We live in different cities, so we tend to see each other only occasionally. He is a very relaxed person and easy to work with. Plus he has real screen presence. So it’s all upside as far as I am concerned.” There’s also a positive review of the film by George Machin at LetterboxD, and a middling one that praises Hugo at Yahoo NZ. I hope to have an additional magazine piece on Healing ready to share soon. The Guardian Online has just posted a WONDERFUL new interview with Hugo, which in addition to discussing Macbeth delves into his thoughts on why, exactly, he has turned his back on big-budget filmmaking, and why independent films and television are so critically important. Hugo’s thoughts on Hollywood’s tendency toward ‘fan service’ at the expense of coherent storytelling and artistic integrity (which also ends up commodifying actors and art) are so bang on that I could kiss him for saying that. (Not that I wouldn’t be tempted for other reasons, heh heh). But I’ve seen too many good TV series and promising film concepts undone by this base marketing instinct which insults fans by implying all they really need is titillation, least-common-denominator plotting and to never be challenged. Some fans of Hugo’s big-budget work buy into this mentality that he’s supposed to shut up and take big paychecks because that’s what pleases them, and they can’t be bothered to search out the work he finds most meaningful. I wouldn’t still be a fan after all these years if Hugo’s career had taken that trajectory. And I’m glad there are fans out there willing to follow on the journey Hugo HAS elected to take, which has never been boring or predictable. 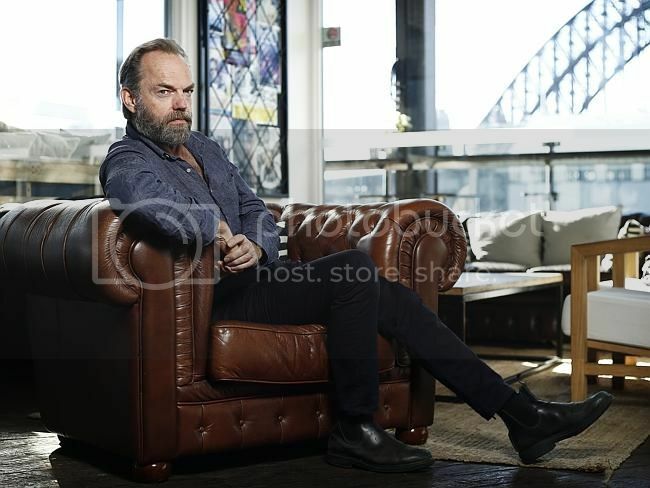 I’m going to include the full text (behind cut at LJ) because it’s one of the better Hugo Weaving interviews I’ve read lately, and my thanks to Monica Tan for conducting it so well. She obviously asked follow-up questions where others haven’t. “I just loved it … Mum started telling me about Shakespeare, and she got out the complete works. We turned to Romeo and Juliet – I’ve still got that particular copy of it – and started reading it. 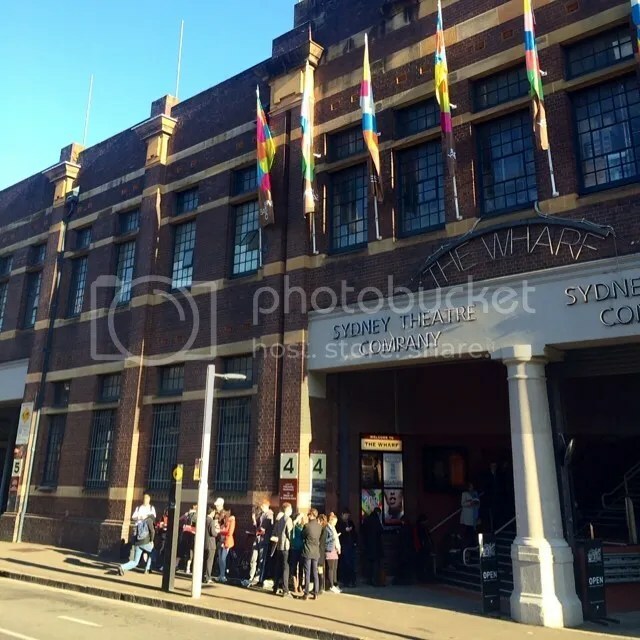 And because I knew the story, it wasn’t as foreign and the language wasn’t as crazy as it might have otherwise been,” he says, from the foyer of the Sydney Theatre Company overlooking Walsh Bay. It’s a sunny day and the water has a stunning, champagne effervescence. Weaving, who will be playing Macbeth in a new production by the company, sits, somewhat formally, on the lip of a couch. “For weeks and weeks I was playing Romeo and Juliet games with friends,” he adds. And appearances in films like The Matrix, prove the actor is able to put one foot in both critical and commercial success. “[The Wachowskis] are very political filmmakers, and of all the studios Warner Brothers are probably the most interesting,” says Weaving. 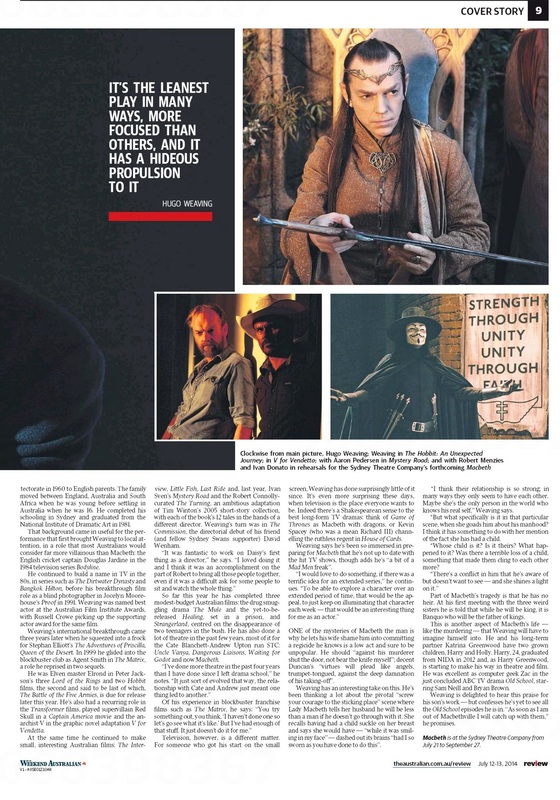 And for every multi-million dollar Hollywood film, there are 20 low budget films being made in Australia, a few of which feature Weaving, and the actor describes, frustratingly, as “going to a big pile of films, in the corner of a room, that no one is seeing”. Sandwiched between cultural cringe, and an influx of foreign cultural imports, Australian creatives struggle to find support to tell local stories. Recent cuts to the budgets of the ABC and SBS are just the latest example of how the arts are valued. 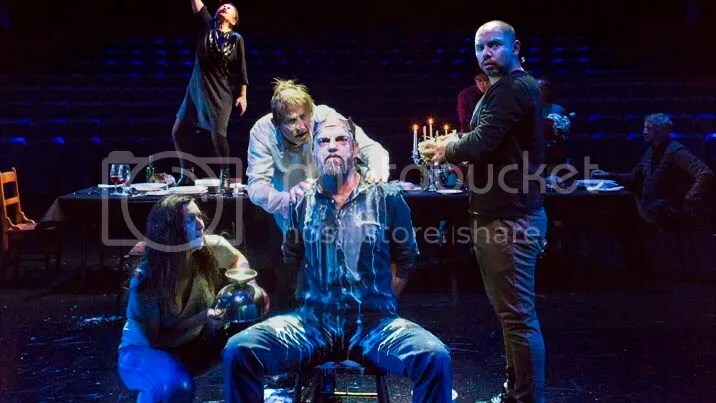 Sydney Theatre Company’s highly anticipated, unconventional adaptation of Shakespeare’s Macbeth opens in previews tomorrow (today if you’re actually in Sydney). 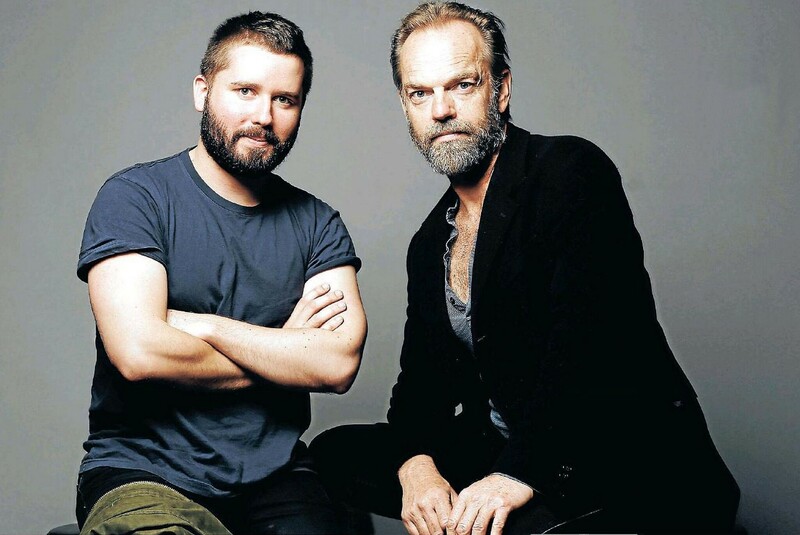 Thus there has been a wonderful spate of new previews and interviews promoting the production in the Australian media. I’ll share all that have appeared since the prior entry (along with the lovely new photos that accompanied them. The next entry will focus on early responses to the play (which has its formal opening on 26 July), ideally including the first production photos in the intriguingly reconfigured Sydney Theatre. 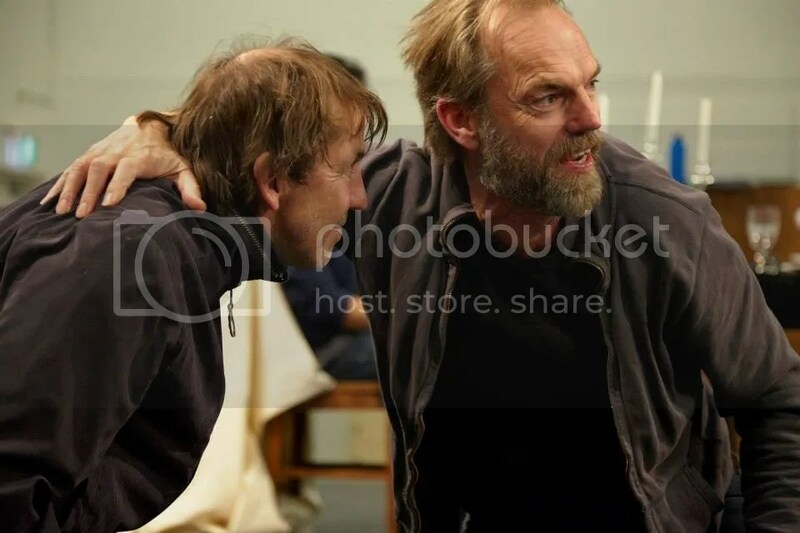 (This is one production where I’m dying to see 360-degree perspective photos of the full theatre, including the audience, based on Hugo Weaving’s and director Kip Williams’ beguiling descriptions. 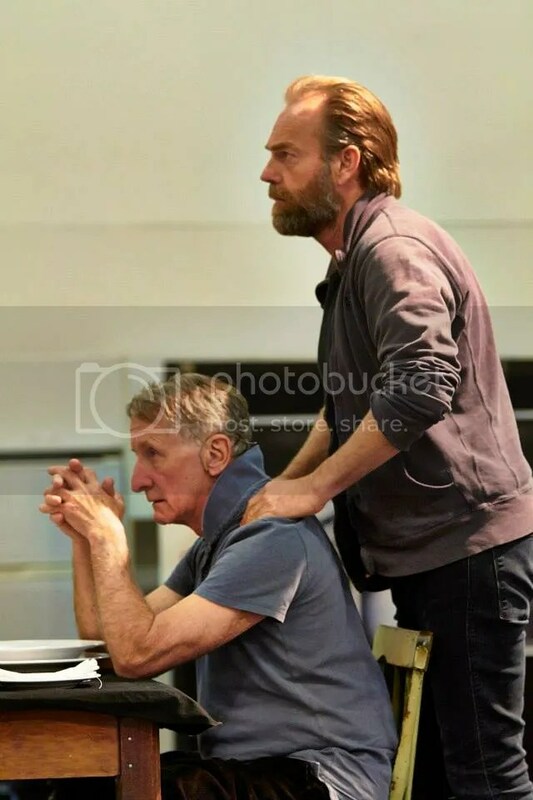 Though the production will indeed invert the customary staging, most of the action will unfold in front of the empty auditorium space rather than within it, as Williams finds the symbolic emptiness of that space part of what provoked him to stage the play this way in the first place.) Even some friends who frequent STC say they have no idea how this is going to work or what it will look like, so I’m more eager than usual to hear critic and audience responses once the first performances are held. I’ve also been working on a transcript of STC’s pre-season briefing which includes more comprehensive quotes from the cast; STC did kindly share a Twitter transcript of the highlights, but there was a full 35 to 40 minute Q & A session. 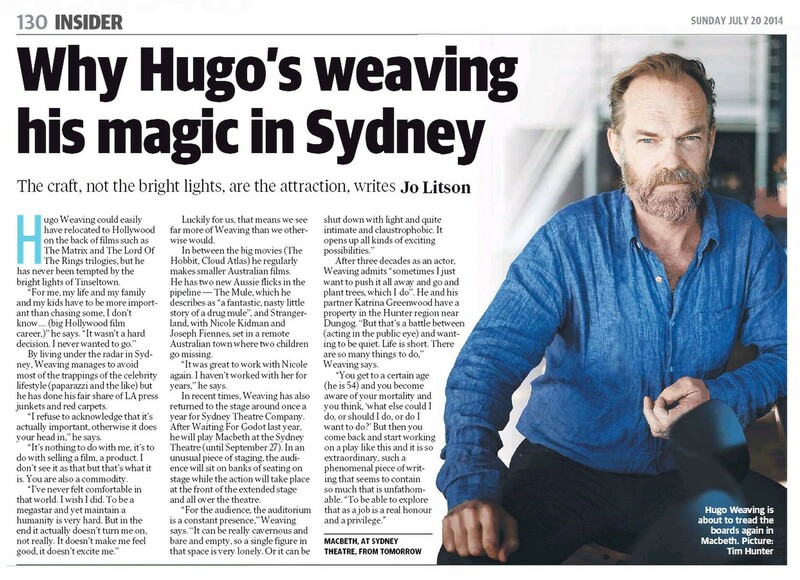 Our Sydney correspondent Yvette kindly provided her notes and impressions from the event and I’ve cross-checked this with interviews, other eyewitnesses, sources and STC’s live-tweet to work up a more complete transcript, including all of Hugo Weaving and Kip Williams’ comments. I’m still finishing that, so I’ll start with the stuff people probably are most eager to see: those new interviews and photos. 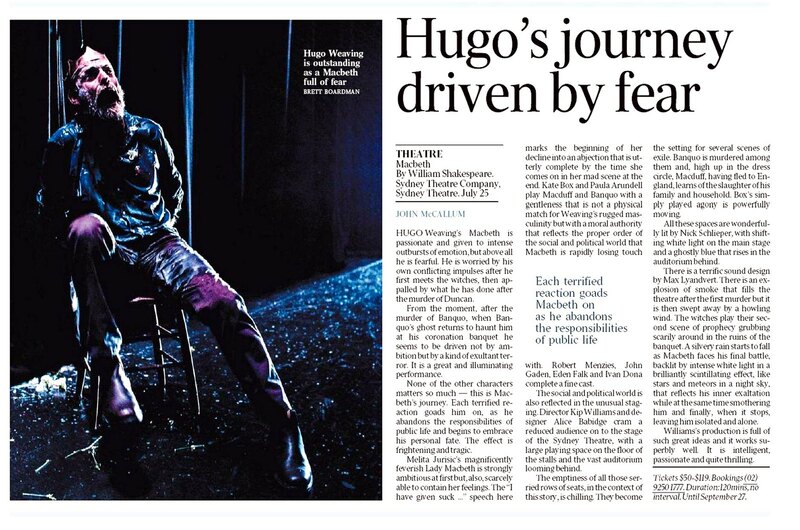 Hugo continues to be impressively modest but articulate about his goals and challenges in taking on one of the most iconic roles in theatre. 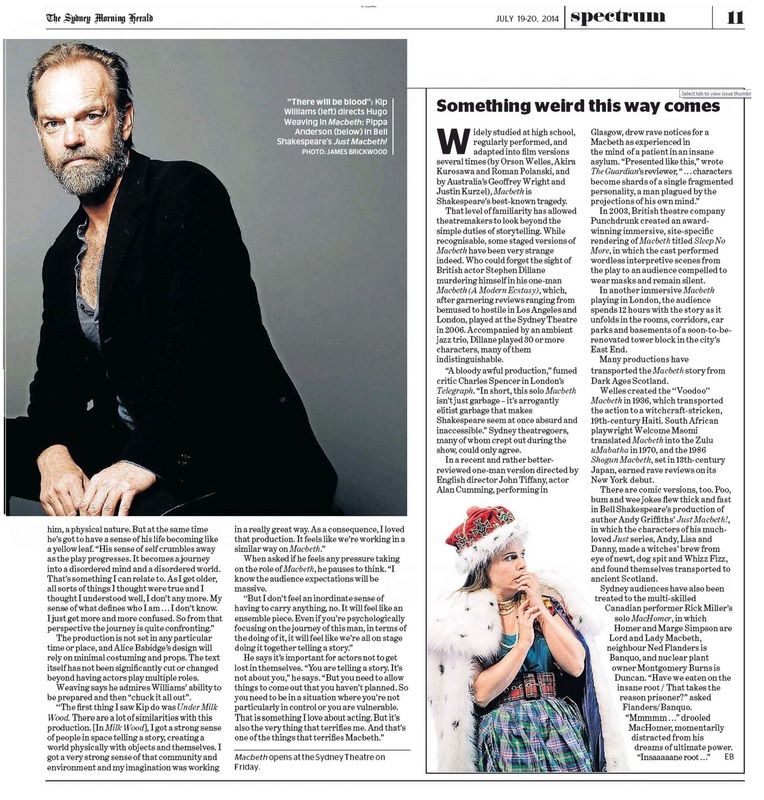 The Daily Telegraph/Herald Sun and the Sydney Morning Herald/The Age interviewed Hugo Weaving to preview the production. I’ll embed the print versions of those interviews along with links to the online versions (I’ll include the photos later in the entry, as they’re slightly crisper– if smaller– than the print versions. I’ll intersperse those into the pre-season briefing transcript.) Text is identical in all instances, but the print articles sometimes use different photos. Be advised that some online papers limit page-views, though content in multiple locations… so if the SMH blocks you, for example, you can always go to The Age. 😉 One reason I try to get my hands of print editions: it’s worth paying a little money up front to ensure an article is always there. (Yes, I’m aware there are several methods of caching or saving online articles too. But it’s always a good idea to know when you’ll need to in advance.) 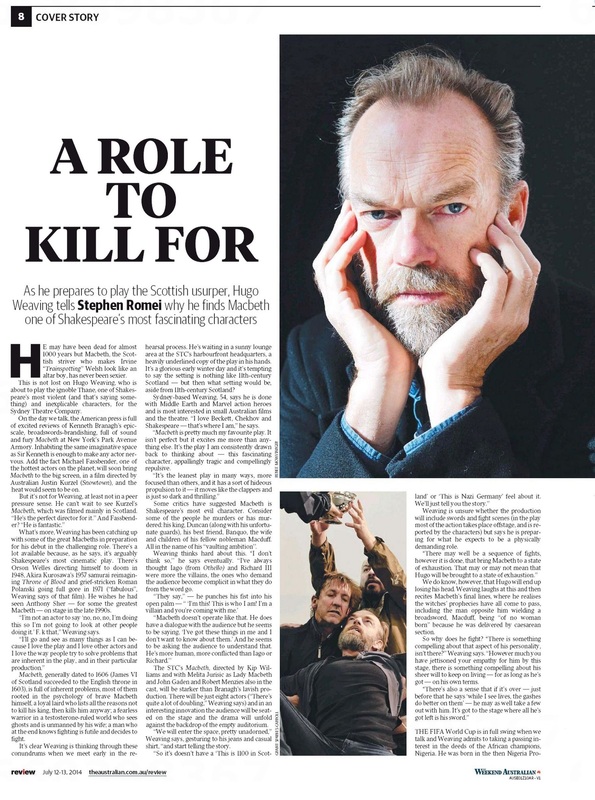 If you missed the Weekend Australian Macbeth cover story/Hugo Weaving interview, you can read the print version here (Cover, Page 1, Page 2) and the online version here— The Australian typically limits page views to one per article, so be careful. As always, WordPress readers should right-click on scans/images, then click “open in a new tab” for full-sized versions. There were a pair of online interviews with other key figures in the production; I’ll include quotes and photos from both below. 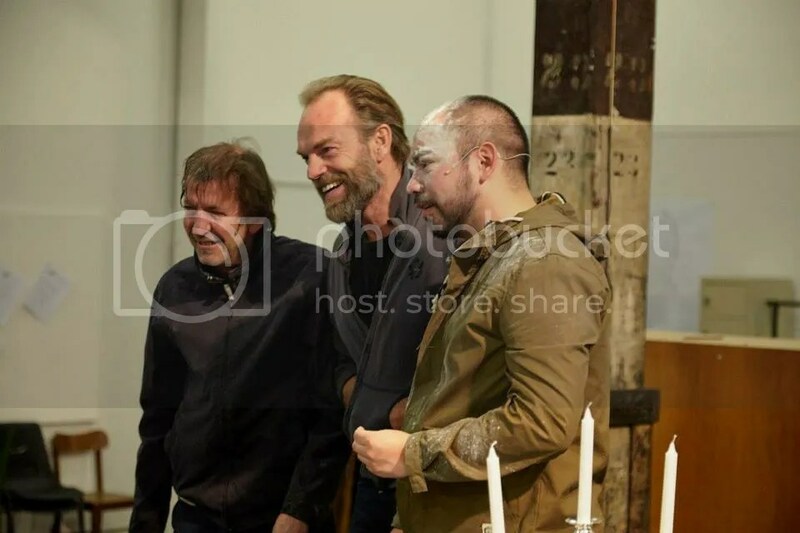 Kip Williams spoke to The Daily Review about his inspiration for the unique staging and his impressions of working with Hugo; actor Ivan Donato spoke to The Brag about working in the ensemble (he plays Seyton– Macbeth’s sinister adviser, and the role Hugo himself played in his first Macbeth in 1982– and one of the witches) and what audiences should expect. For this production, I needed an actor like Hugo. He’s first and foremost an artist. He fights very passionately for the truth of his character and the story, and that’s all I could ask for. It’s that philosophy that you can stage a play in a telephone booth or an Olympic stadium, and if the actor is able to hold the truth and reality of their story, it doesn’t matter what space they’re in. I find the most potent element of the empty theatre is the uninterrupted empty theatre. It sets up the force of a society and a world looming over the action….“There’s a temptation in this production to look at the thousands of ways you can use the space interestingly. That’s not at the heart of why the space has been inverted. It’s about what the space offers dynamically, rather than as a trick. I always go over to the theatre and am met with all these possibilities — ‘what if people appeared from here, or there!’ — but it’s not all that useful. Here’s my transcript of the July 14 event held at Sydney Theatre Company’s Wharf Theatre. 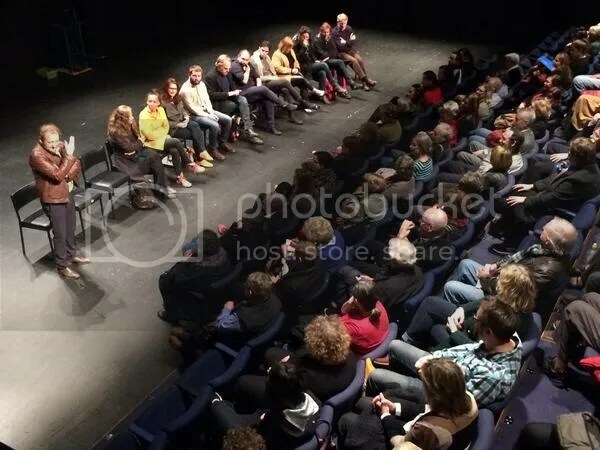 While I’ve tried my hardest for a complete, accurate rendering of what was said, be advised that some actors were very soft-spoken and difficult to hear, and at other times ambient noise in the theatre (coughing, audience chatter, etc) made discerning some responses difficult. 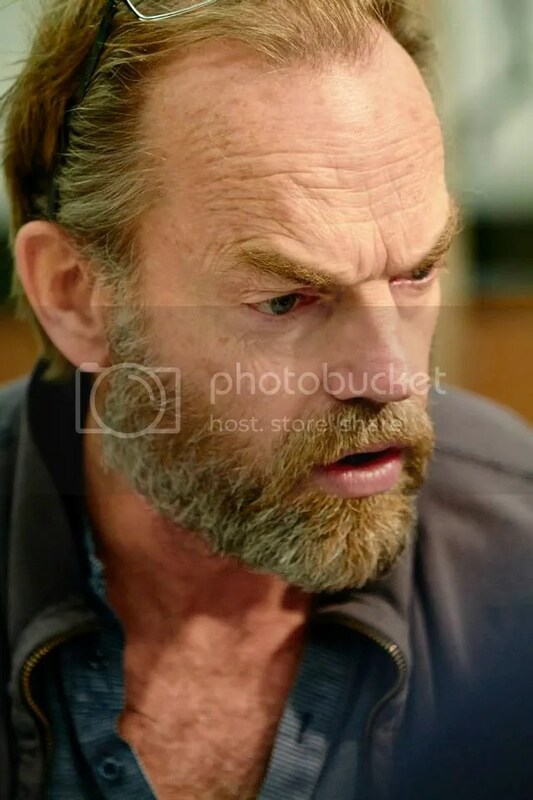 While I do have all of Hugo Weaving and Kip Williams’ comments, Melita Jurisic’s were somewhat edited, as my source found her difficult to hear. Also, some actors either didn’t say much beyond introducing themselves or their comments were’t taken down. The actors were miked, but those asking questions weren’t always (and weren’t audible to my sources) so in some cases I’ve had to infer questions from the answers. If STC would provide audio or video of the event, we’d have a more accurate record, to be sure. (Pretty please?) 😉 My primary thanks go out to Yvette for her enthusiasm in attending STC events as well as her strenuous note-taking and generous sharing of those experiences. Apologies in advance to anyone misquoted or omitted/abridged; again, I’m somewhat removed from the actual event. 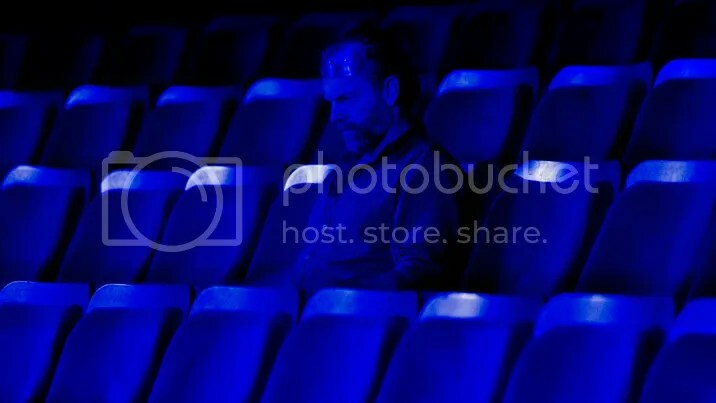 Those in the theatre had a unique experience. Hugo and Kip Williams’ comments do echo their sentiments from press interviews about the play, but there’s an unguarded, colloquial quality to their comments here which I find particularly special. Andrew Upton: For an English-language theatre company, I think that it’s vital that we do Shakespeare once a year. Because it’s part of the blood of the form, and his writing is so deeply ingrained in our understanding of theatre that, as theatre practitioners and as audiences. we need to go back to it, revive it and find out how it [works] today, how it asks to be done, and why it asks to be done, because it is directly linked to the English theatre gene. A lot of this comes down to, in some ways, the fact that when Shakespeare was writing, a lot of the English language,as we know it now can’t have come into being… I’m terrible with numbers, but I think the average vocabulary is now 3,000 words, and there are over 17,000 English words in Shakespeare’s 36 plays. So the writer had a masterful command of the whole shape of a language that was evolving, and has arrived and is still in play, and is still evolving, of course. So that’s the conversation I had awhile ago with Kip [Williams], which led to the programming of Romeo and Juliet last year, which Kip directed, and that conversation came out of a conversation about language in the theatre, which came out of our work together, which began with Kip’s directorial debut in the company with [Dylan Thomas’s] Under Milk Wood. And that in turn had gone back to when he had been my assistant on The White Guard. 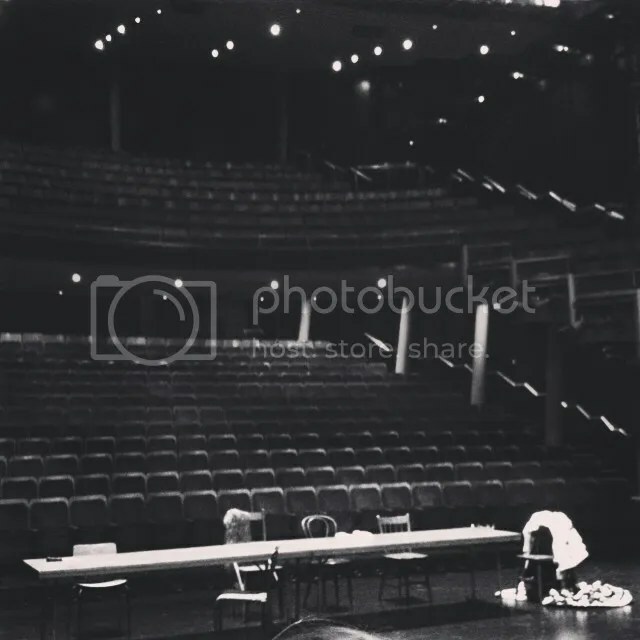 And strangely, as a kind of coming together of the two rivers, because we were putting on The White Guard at the Sydney Theatre as well, we were putting it in the theatre [inaudible]… and we were standing on the stage and the set was kind of in [place but] it was still kind of empty as a space. And I was looking this way, and saying “I love it, there’s this beautiful clear view at the backstage of the Sydney Theatre, there’s this beautiful round bit of structure.” That old structure from the rocks where there was an old road… you could see the shadow of an old road which used to lead up to the toll, and there’s this beautiful turret-like place. And I’m saying, “There’s this beautiful ready-made set– there.” And Kip’s standing, looking out at the audience, and you could see him [thinking it over], saying, “What if you could do [a play] facing out this way, straight out?” So we’ve kind of inverted the space, and that sort of inversion– that strange kingdom of emptiness, that an empty fear is– led straight to a conversation about Macbeth. So that’s what we’re doing. We’re putting the audience on the stage of the Sydney Theatre, which gives us a capacity roughly the size of Wharf One, and roughly the shape of Wharf Two– obviously roughly [Laughs]. And the actors are playing an apron that’s being built directly out from the stage and reaches into the auditorium. 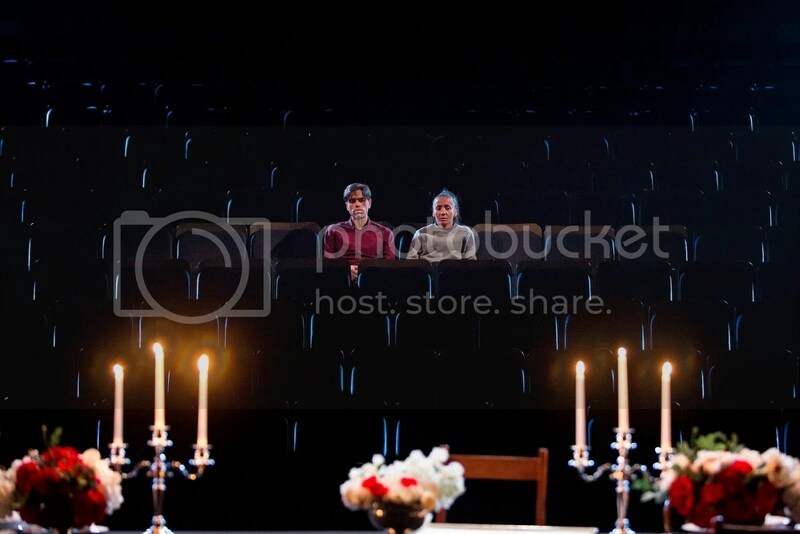 So the backdrop, if you like, of the production is a sort of cemetery of empty chairs. Which is great on a number of levels. 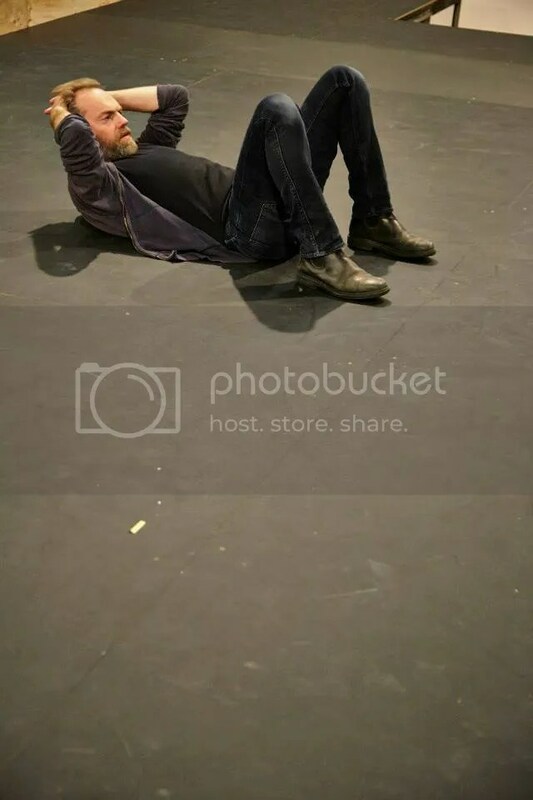 There’s sort of strange structure inside theatres, a kind of kingdom-like structure [where] the audience usually lives, in the stalls [Laughs] And there’s a kind of graveyard [made up of] chairs, and there’s a sort of vast, cavernous emptiness to play off of. That vision. So there [are] all those things to play off of by this conversion. As well as a kind of re-imagining of the theatre, which is important, because we could easily [use] the same configuration, the same seats, and the shows start to take on a sameness that they don’t need to have. Just bending it a little– there’s a freshness just in that. So those are the kind of reasonings around the choice of play, which came out of the discussion of] the space directly, which came out of Shakespeare’s canon, from this conversation that Kip and I had been having over three or four years now. 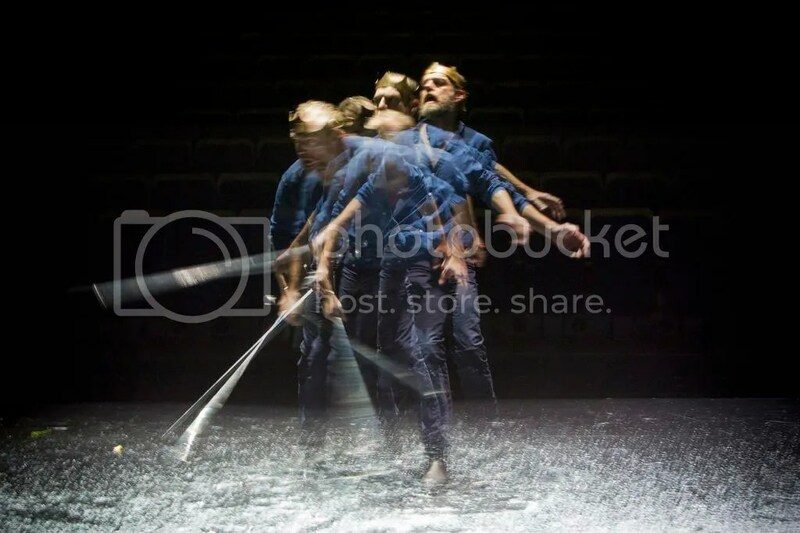 The choice to change the space so radically for the audience seemed to fit in and around the inverted world that is the kingdom of Scotland under Macbeth. John Gaden: I’m John Gaden, and I’m– are we going to say who we are? JG: I’m paying Duncan, the king who gets popped [Laughs]. 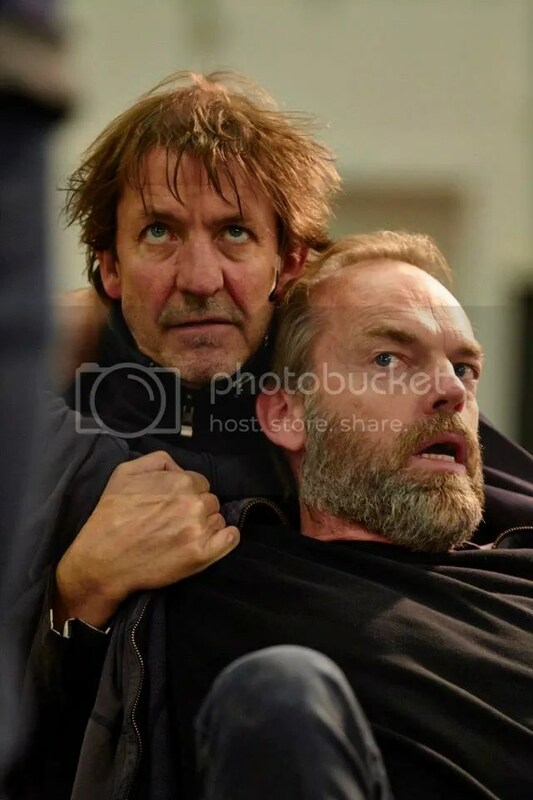 And I play, strangely enough, another Old Man, who’s very gloomy, that’s faithful, I play [one of] the Murderers, I play young Macduff, the young child of Macduff…don’t laugh [Laughs] And then I was going to play The Doctor, [inaudible] and last but not least Donalbane. Robert Menzies: I’m Robert Menzies, and I’m playing The First Witch, I’m Ross, The Porter, and [a] murderer. 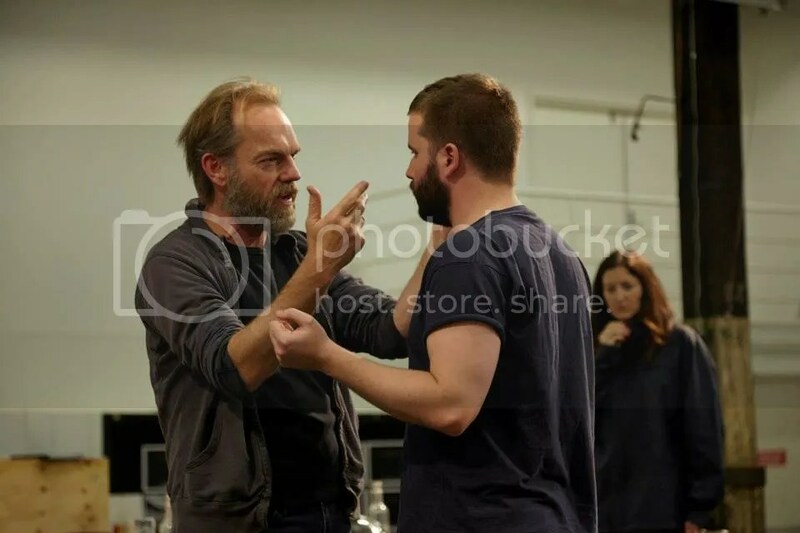 Hugo Weaving: I’m Hugo Weaving, and I’m playing Macbeth. KW: I don’t know how much more to add on what Andrew said about the genesis of the production. A couple of points to add: I think my starting point whenever I approach a play to direct it is to find the human story within it. Not so much the back of the plot, but what’s the human story beneath the plot. That’s about the characters and their evolution and the journey that we chart with them. And once I have a sense of that, a feeling for that, the conversation that I have with the design team, and often a conversation about story is found with the design team… once that is found, the conversation is always about space. What space do we need to create, so that story can take place? 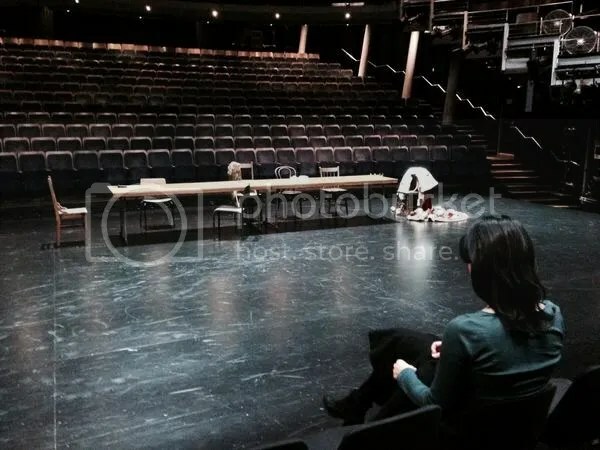 And the very unusual thing about this project has been, as Andrew has pointed to, that space has conjured story, that my experience of walking out onto the ST stage, and witnessing the empty theatre conjured my sense– or a sense– of what a potential story within Macbeth might be. And it’s informed a certain language of the production too: in exposing the theatre to the audience, it says to that audience [that] an act of storytelling is happening before you. And the way we start telling you this story is in a very exposed way. You see actors assume character, and they pass the spirit of that story from scene to scene, amongst each other. And the further we get into it, the more your imaginations take hold, and you find yourselves within the world of that play. So the process of creating this story has been a fascinating one, and very much contingent on the people who have been brought into the room– of course, you can’t do The Scottish Play without the ‘Scotland’– particularly this take on the story, which is asking the audience to identify with that character, to find direct, first-line identification with that character all the way through to the end. 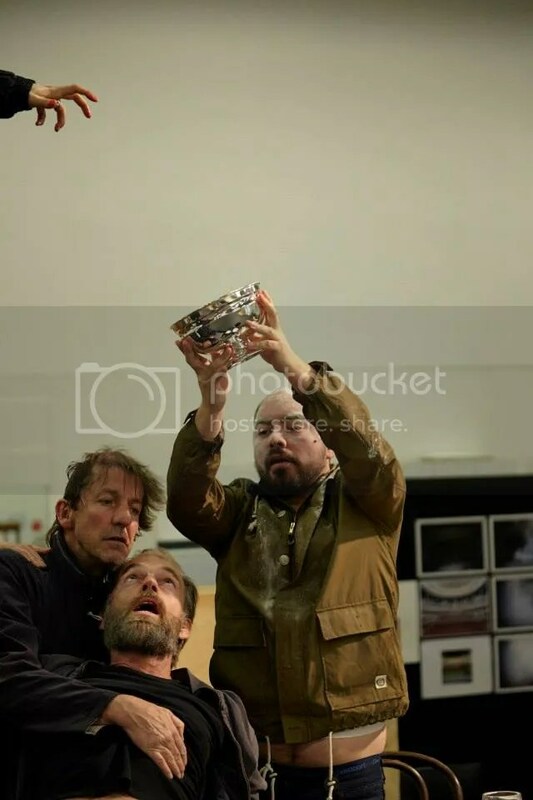 And so the actors that have been recruited into an amazing creative team of designers I’m [working] with, I very much looked for people whom the audience could identify with, when they’re inhabiting the darkest of places, as this play takes us to. And then, beyond that, I was interested in finding ‘theatre animals’, people who imaginatively and playfully can create story and create and imaginative universe out of very little. So that was the process that led to Day One of rehearsals, and we have been delving into the depths of this story for five weeks now. So– any questions that you might have? Q: [Have you ever directed Macbeth before]? HW: Probably in this case, there are more [uses of] doubling than there would have been in Shakespeare’s company, but there would have been doubling in Shakespeare’s company, certainly. KW: I’ll be brief: I think one of the things that I have found frustrating as an audience member watching this play is when the story has been rendered with a sense of moral prescription. It is the danger of this particular play to render the Macbeths in a way where you finish the play, and they’re monsters and they’re villains and they get their comeuppance.. and we’re sort of let off the hook in that sense, ’cause we say, “That’s not me”. So the reshaping…the slight reshaping of the form, the ‘pit’ that’s in this production has been geared towards removing judgment. And that, to me, feels closer to the interrogation that Shakespeare has in the play. It was really radical for someone 400 years ago to be writing the type of existential thoughts that he writes in this play. It feels a bit natural to me that this person would allow their audience to not feel like they have to be fully inside that person. Whereas I think we can stomach it, and that there’s greater revelation in being with that person at the end. HW: I just keep reading, reading it… imagining, imagining, moment to moment. I’m very lost in it. Shakespeare’s characters aren’t… I feel stupid to say this because it’s so obvious, but they’re not… you can’t pin them down. You can’t follow a kind of logical… you can’t contain their whole psychology, actually. There’s so much in there. The more you find, the more you choose to look. There you go. So I can’t really define the whole process. Q: Do the other people [cast members] help? AB: I sort of say… Yes, it’s a contemporary telling of the story, a contemporary setting, in a theatre that you recognize. I’ve seen for the most part that my job was the clothes, and I really consciously referred to them always as ‘clothes’ not ‘costumes’ , is to have been as seemingly hands-off as possible, and leave these people to do their jobs, and just stick things in where I thought appropriate. That’s not to say there aren’t moments of Elizabethan period fancy and play on the side. There are, and there are signifiers of the class structure, and of the court structure. I think we are going to [use] archetypes that help to tell the story, or guide the story-telling. But for the most part, the resolution of the clothes is quite simple. But I think [it] helps with things like the doubling, and Kip’s been feeling quite [it’s] cohesive, but also helps us as a contemporary world [to feel like] their equals, …as if it’s someone we would see walking down the street, or on the bus… we know these types. And it makes it easier for us to instantly give in to the world. And that would be part of my job, I think. will, these things. His actors will be in their…clothes of the day, with signifiers, or a Roman helmet or spear or whatever. So it feels like we’re kind of in that sort of work at the moment. And this is a play which I’ve always…I’ve heard this as a radio play. It works inside your head. The doing of it and the experience of it. It’s an incredible atmosphere the language creates. This fantastic atmosphere. 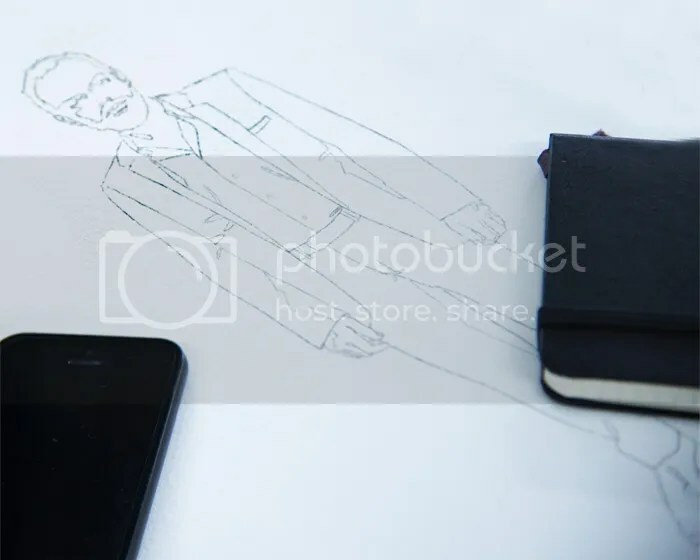 And so we’re telling our story initially in a very simple way, kind of not dissimilar to where we are now, so an entrance could be signified by someone standing up out of their seat, and starting to tell their story. And we’d build it from there. HW: No. 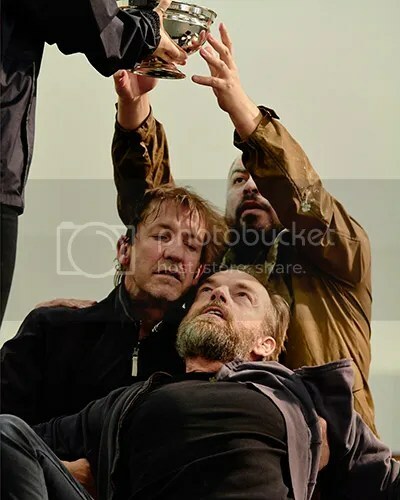 I was in a production of Macbeth at the STC when I was in my first year out of drama school [inaudible] John Bell played Macbeth, I played Seyton. KW: That’s a good question. We’ve had about a platform in the rehearsal room, but obviously we don’t have the empty 900 seats to play with. We’ve been over to the theatre maybe three or four times. 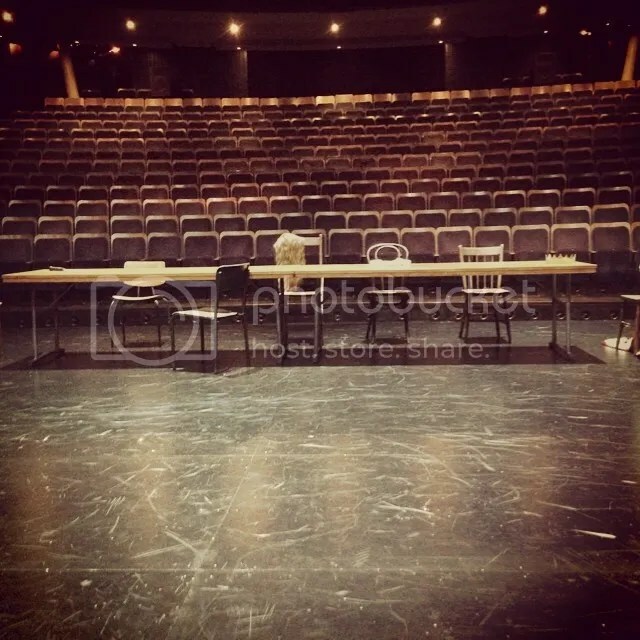 There’s a couple of scenes that are very heavily… draw a line to the empty theatre space along the stage, and there’s the potential [to do more with the auditorium space], and we’ve always been open to that, but watching it in the room today, this afternoon, watching the run… [as to how the final staging will be realized on any given day], I don’t know. We’ll see. Again, the people who are on board with this production are playful, creative minds, and if inspiration strikes them, then it strikes. But we have a structure for the show as it stands, which hasn’t been too badly inhibited by having an empty theatre. And that’s also partly because we’ve had to be really judicious about when we use [the theatrical space]. 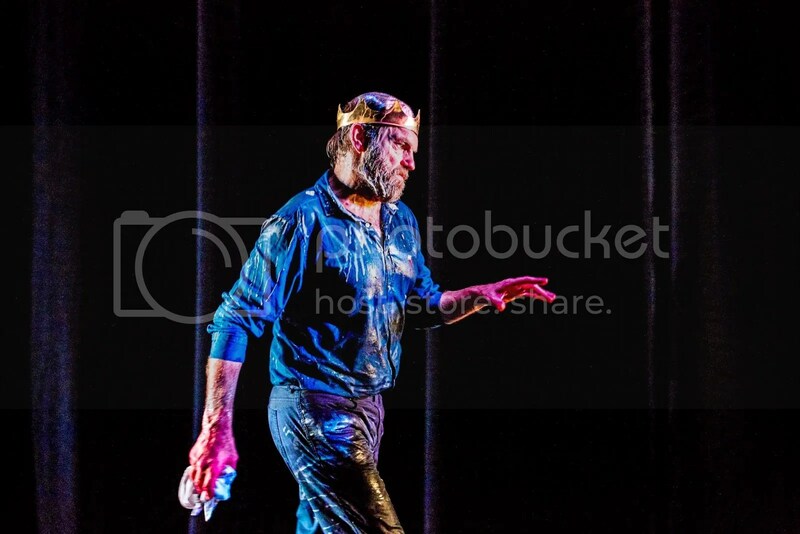 Because I know one of the temptations of staging the play in this way is that we stage a… you know, the spirit of the 1,001 Interesting Ways To Use An Empty Theatre [as a gimmick or novelty]. Audiences would get tired of that pretty quickly. And I also think it would undercut the potency of…with not 100% a weight here, but the symbol of an empty theatre. I think that, in the way Beckett’s tree with the two boots [in Waiting for Godot] offers endless interpretation to an audience… [this production was inspired by] an image of an empty theatre originally, and a lot of the staging takes place in front of that image… particularly where we reach towards the end of the play, as Macbeth is increasingly alone. There’s a lot of potency in that image for me. And so I haven’t wanted to… interrupt that too much. Because I think that there’ll be a lot for people to take from that. 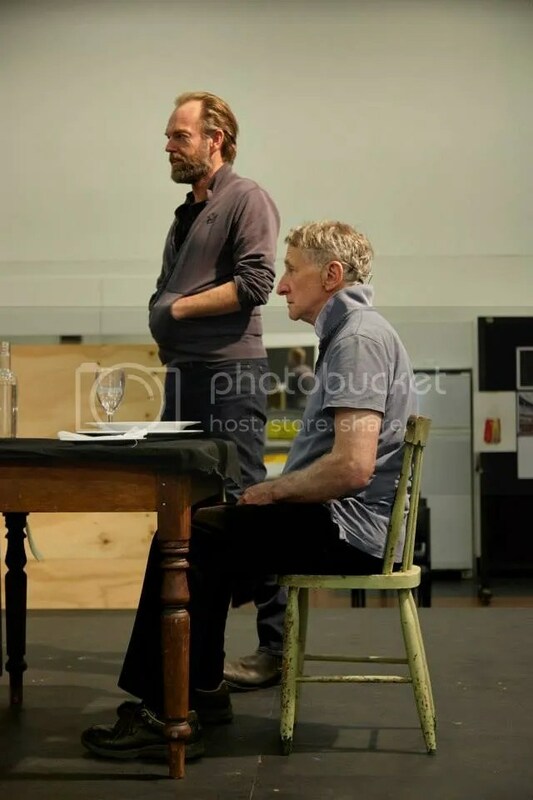 HW: I’m looking forward to getting in there [the theatrical space]… I suppose, really, as actors we would be looking out to something similar to what we’re looking at now. But I’m interested in… I’m excited about what that space behind will give us, what that wall of space will give us in terms of levels. It’s a really exciting set.. it feels like for us and for you and for all the people working on the show that it’s such a new experience, that it feels so palpably charged… hopefully that will give it a whole… unusual dimension. KW: I feel like in rehearsal, it’s been easy to forget that you’ve got this cavern behind you… Gestures, just as you have even pointed out, sometimes are so simple because of what’s surrounding us…We aren’t doing much, but there’s so much going on..
HW: We’ll also be out here… It’s so interesting; we have been working on a rostrum in the rehearsal room, but I am interested in getting… in seeing that space, seeing that…sort of shoreline between the auditorium, which we do use occasionally, and the stage space itself. 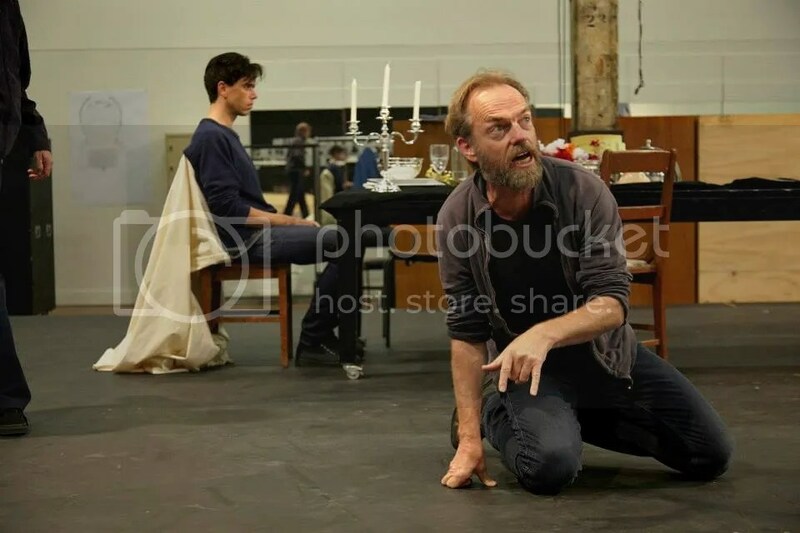 But I think out of the schedule he gets a break… he gets a long walk on that shoreline, because it is genuinely quite different [from the rehearsal room experience]… that temptation to move out into that space would fill us. AU: We’ve been taking that into consideration. This production is completely radio-miked, and that will help acoustically, obviously…Sound is a large part of the texture of the production, actually. That slight, occasional disembodiment has been part of the [theme] of the whole production. MJ: Good question [laughs] What interests me, particularly I think, obviously, is how rare the love story is. And I think.. it just gives natural scope in her relation to the other characters. Because then the fall is greater, the fallout between them, the personal fall for each character. [Inaudible] Their deeds speak for themselves, but because they are people in love, [their actions] have a greater power to shock, and this has a resonance for the audience. There is more of an atrocity [because the characters are relatably human]. KW: Best of all luck! [Laughs] It’s a great privilege, as a young director, to have an actor of Hugo’s experience and wisdom and ability to come aboard with a relatively young director. And I feel pretty similarly about everybody in the cast, really. I was a little teenager who went and watched shows at STC, so pretty much all of the cast I’d seen onstage as an audience member. So it’s a thrill for me to work with them. But, as I said, outside of my own, gushy response there [Laughter] I was drawn to find people with a particular theatrical imagination, and these are the eight who just made sense, and as each person was added to the mix, Melita came up to Hugo, John… we’d start to make sense of this cast, and the type of souls who were going to be onstage. They’re great Shakespearean actors, they’re great actors, they’re great artists. KW: It wasn’t, Paula… I’ve worked with Paula before. PA: It was one of those things where… Was it still the first week? KW: We’re doing quite a lot of it. 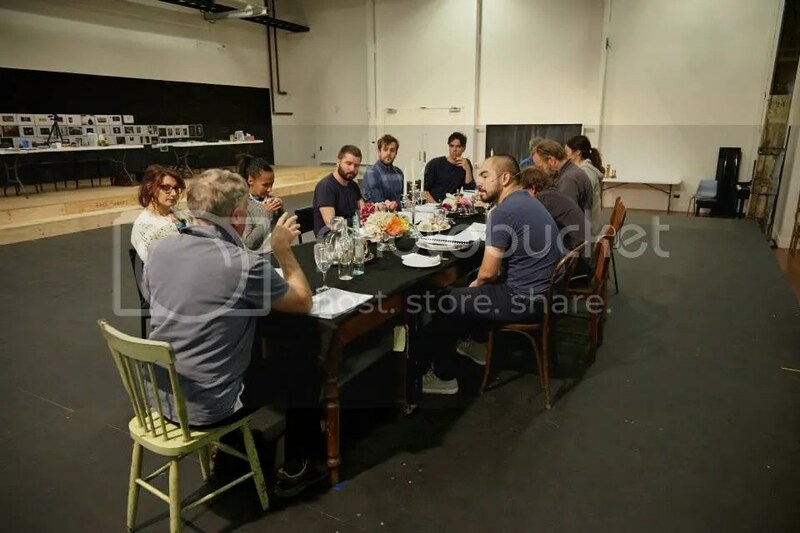 We took into the [rehearsal] room almost the full text, barring some of the [expositional sentences], and then the cast themselves offered some things that they actually thought would be worth bringing back in… so we do quite a lot. We’ve made a few cuts in the past few days, to the rhythm more than anything. 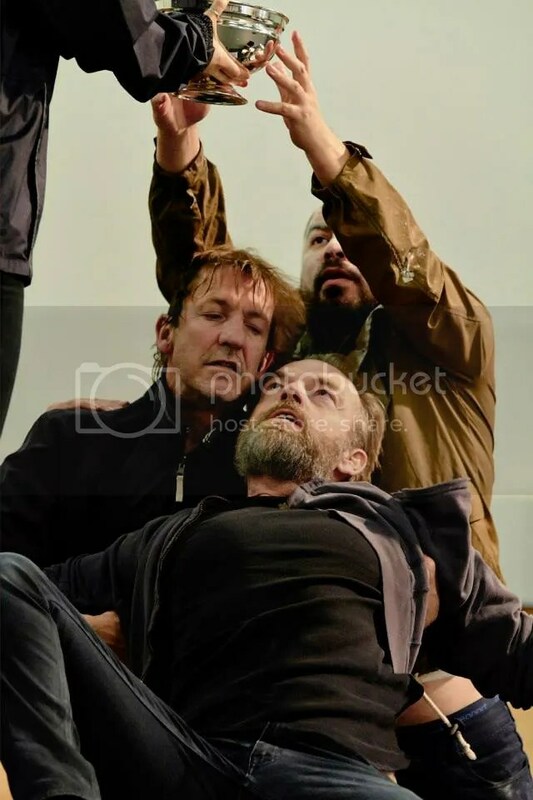 But it’s really in the fifth act where I’ve… I don’t want to give away too much, but there’s a slight different placement of some scenes, and it becomes very focused around Macbeth’s increasing isolation. Q: How long does it run? HW: It does travel on. It’s very pacey. You’ve got to be on top of it, be where the words are, otherwise, as an actor, I think you fall behind if you’re not travelling full-bore. And so it does feel like it goes at a clip, things are happening, and the imperative– the time imperative– is so great that it actually charges the audience, and yet, towards this terrible thing that happens. And then it shifts again, and then you’re off again. And it continues to propel itself forward, and that’s the challenge for us, and it’s also the excitement. It’s pretty quick. CJ here again… that transcript was an absolute bear to put together… albeit a luxuriantly-furred, soft-hugging bear with honey and berries on its breath. 😉 I loved the process but do apologize for how long its taken, and for any errors I’ve made. (I did notice several characters missing from the cast announcement, but can’t say if this was because they’ve been omitted from this production, or there was a transcribing error somewhere along the way… or not every actor listed his full spectrum of characters. The reviews should clarify this a bit. I also noticed the addition of “apparitions” not conventionally in the cast list, though this could be a reference to Hecate or the visions seen during some of the witches’ conjurings. 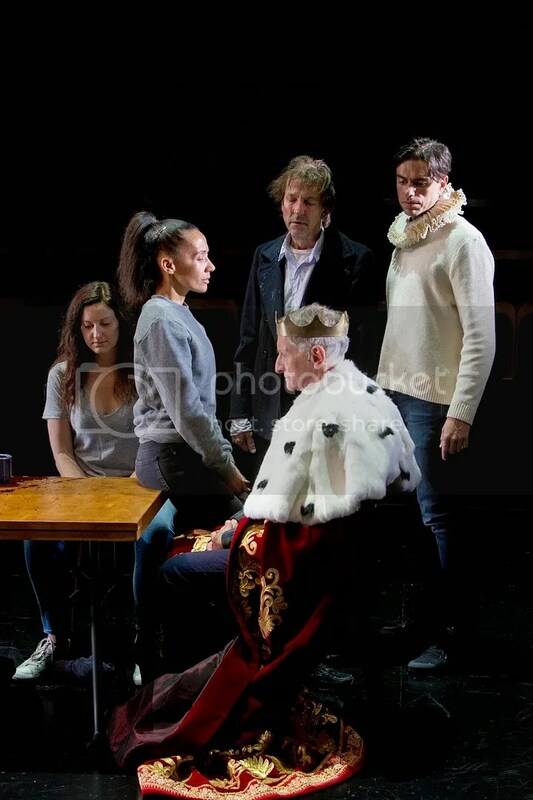 I’ve never seen the play with a female Macduff– gives the whole “not of woman born” thing a new ring– or Banquo… so I’m fascinated to hear peoples’ impressions once the season gets underway. Obviously I’m insanely jealious as well. 😉 And if anyone has an clarifications to make regarding the pre-season briefing or any photos, I’d love to hear from you. Congratulations to the cast and crew of Tim Winton’s The Turning, which picked up the West Australia Screen Awards’ Best Drama Feature prize. You can read more about the honor and oher winners in Inside Film. 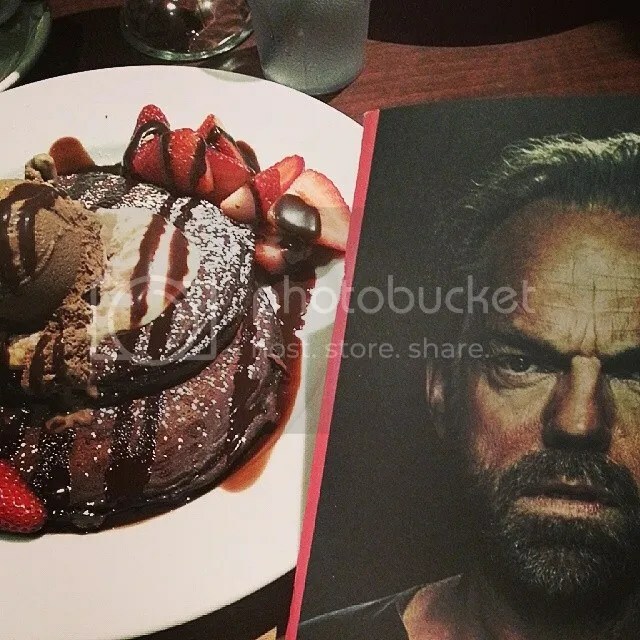 BriiMonster tweet-reviewed the film: “The Mule. 5 stars. Hilarious and so perfectly 80’s. 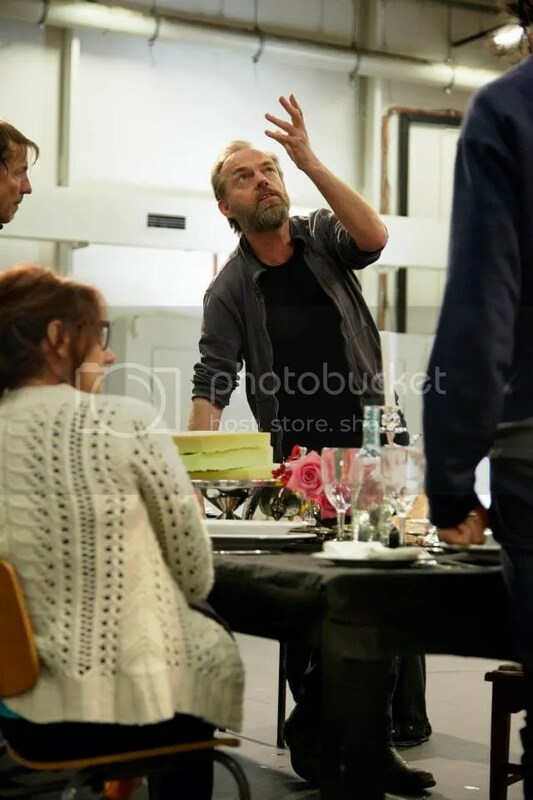 Hugo Weaving is absolutely exceptional. 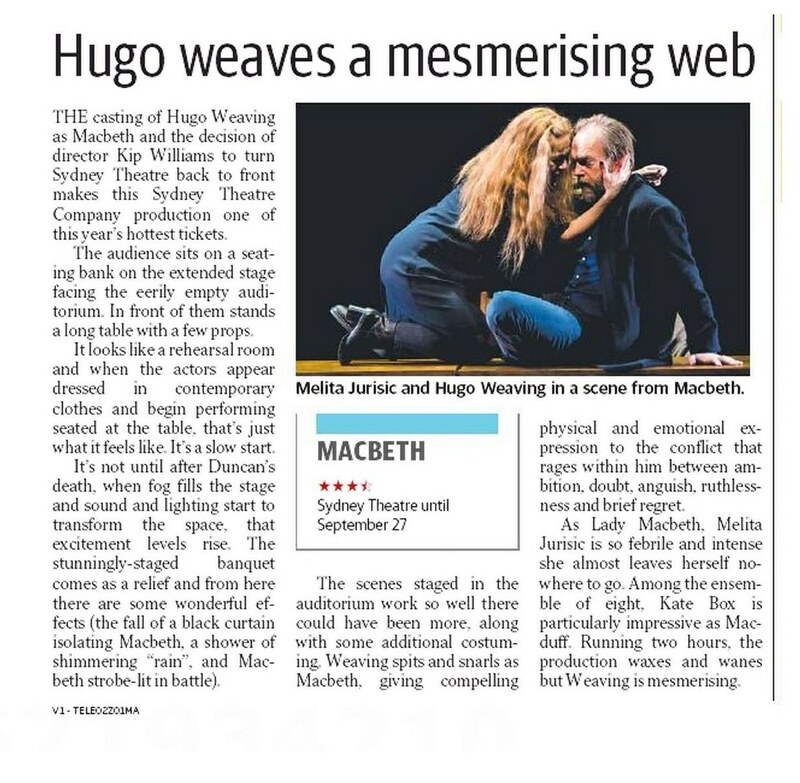 Would watch again.” And you can read Hugo’s first published remarks about The Mule in the Herald Sun interview above. 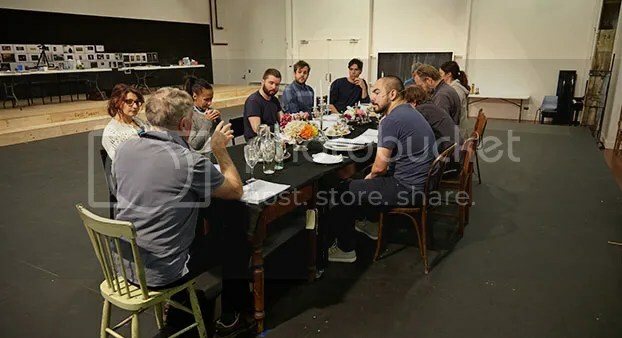 Yesterday evening, Sydney Theatre Company held a pre-season briefing, which included the cast, director and STC Artistic Director Andrew Upton. 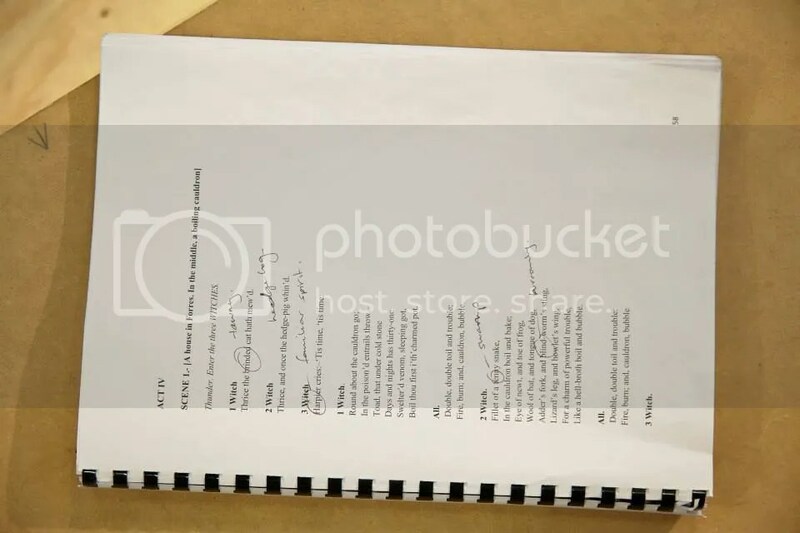 While no exact transcript has (yet) been released, and only the photo below, STC was kind enough to live-tweet the event including quotes /twitter-friendly edits of the Q & A session. I’ll embed these tweets on WordPress in chronological order, and supplement with any new photos or information that might become available. That's it from us! 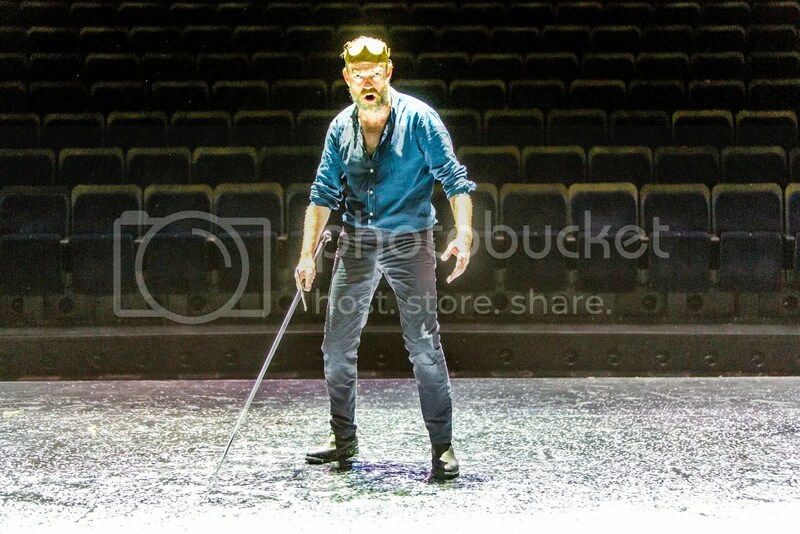 #stcmacbeth previews next week in a transformed Sydney Theatre. This was posted alongside the reminder that STC will be making a limited number of tickets for Macbeth and the rest of the 2014 season productions available every Tuesday at 9am via Suncorp Twenties. The one bit of non-Macbeth Hugo Weaving news (which only mentions him in passing, really) is Warner Bros Official Synopsis for The Hobbit: The Battle of Five Armies, which you can read pretty much anyplace online now, but I got it from Flickering Myth.